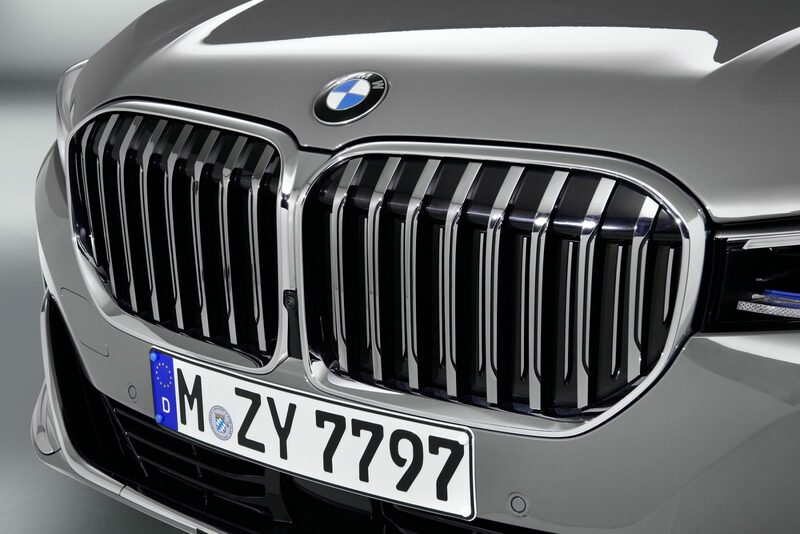 We’re guessing that there’s not much that this press release can say to make you look past that giant kidney grille. 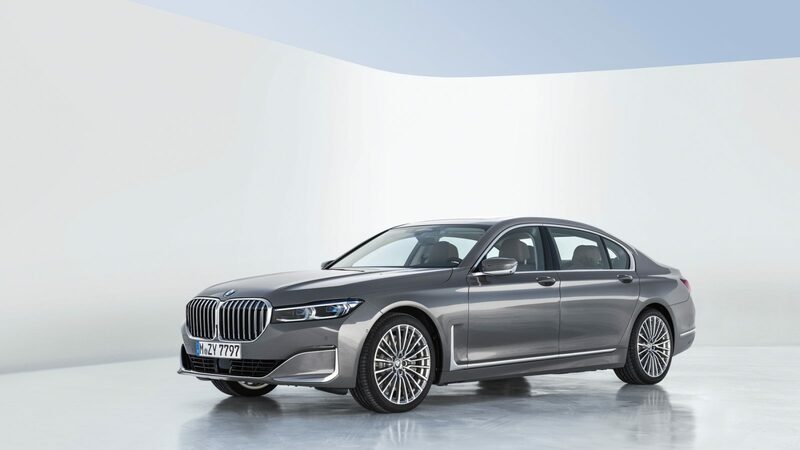 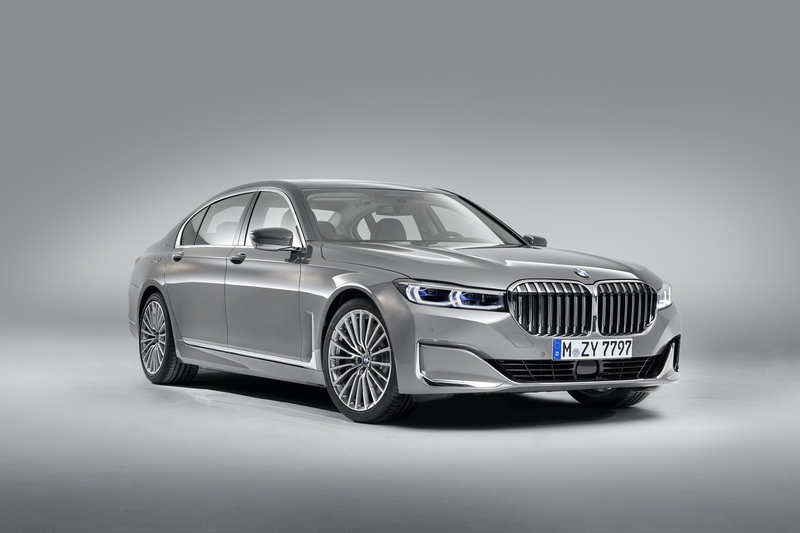 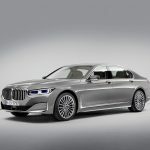 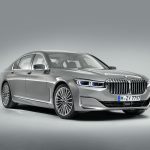 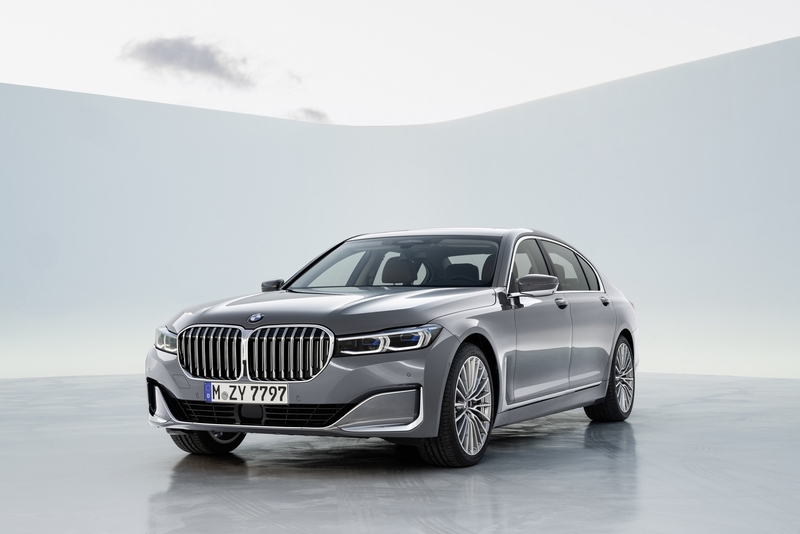 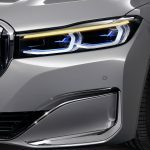 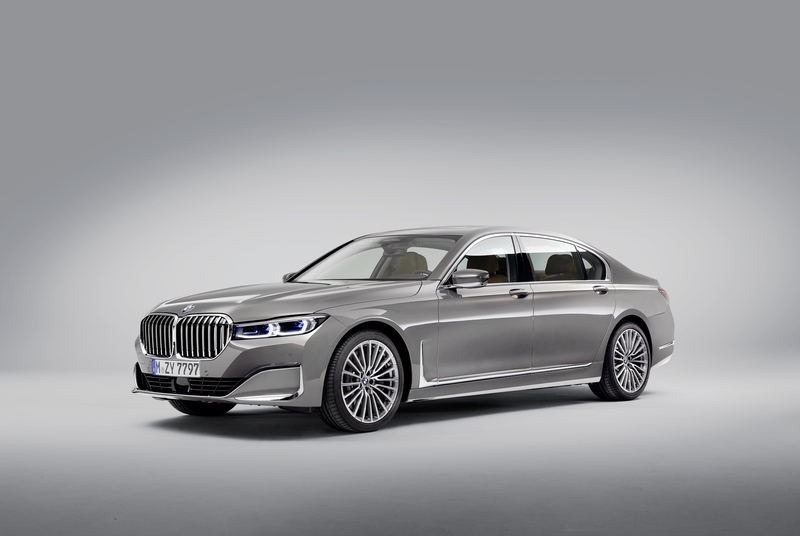 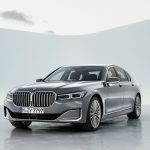 But for a moment we ask that you suspend believe a bit and focus on all that is good with the revised and redesigned 2020 BMW 7 Series. 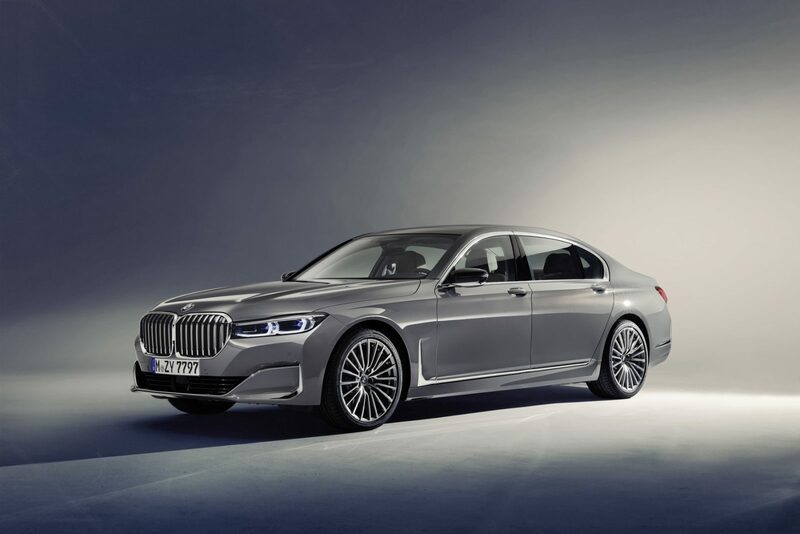 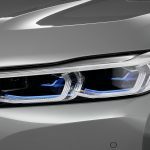 Unlike most LCIs in recent memory BMW has taken the knife to the 7 Series is some pretty obvious ways. 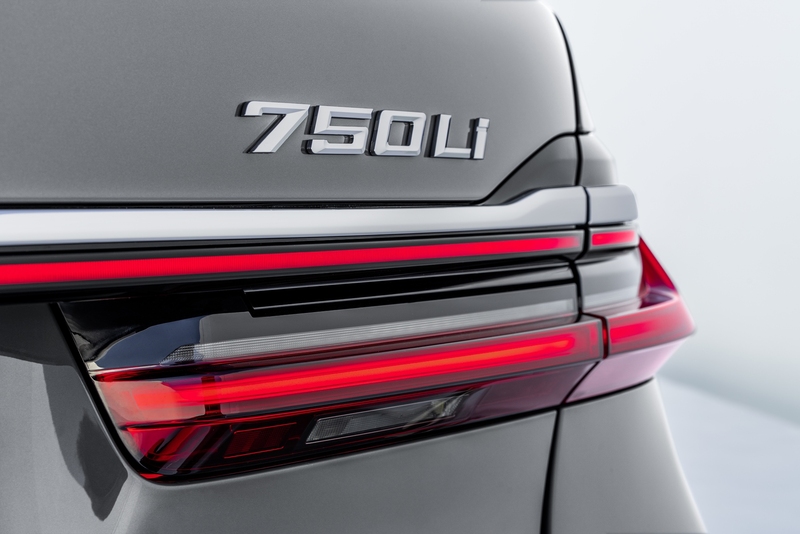 Stylistically this new 7er take on some of the visual language that the Vision Luxury concept debuted all the way back in 2014. 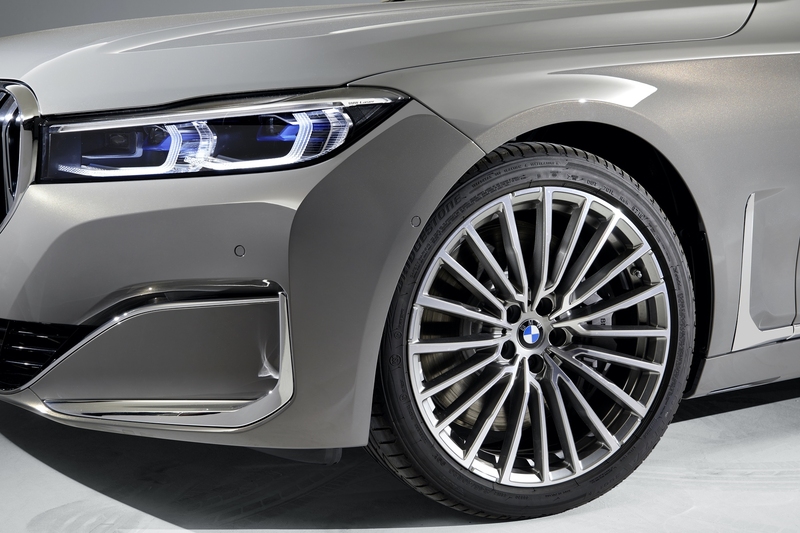 Slim headlights, larger grille and a more angular overall approach give this 7 Series a decidedly more modern feel than the previous car. 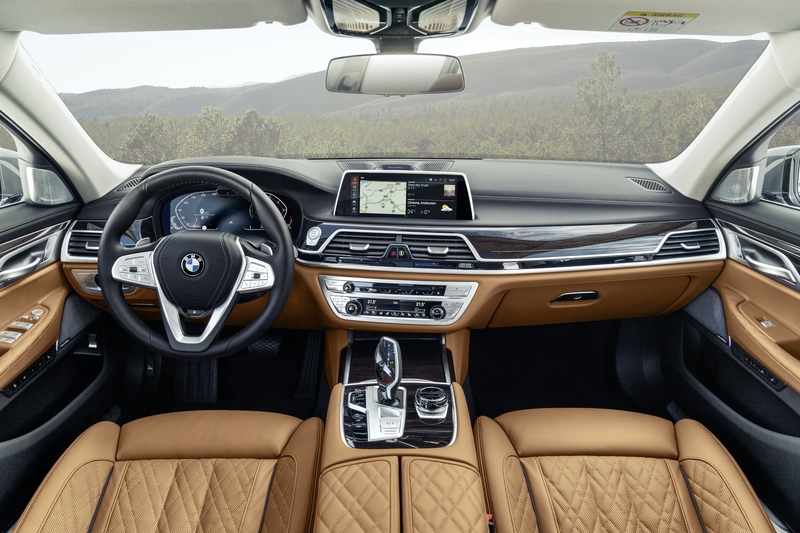 Inside BMW has added surfacing details and the new styling elements to increase the aura of luxury. 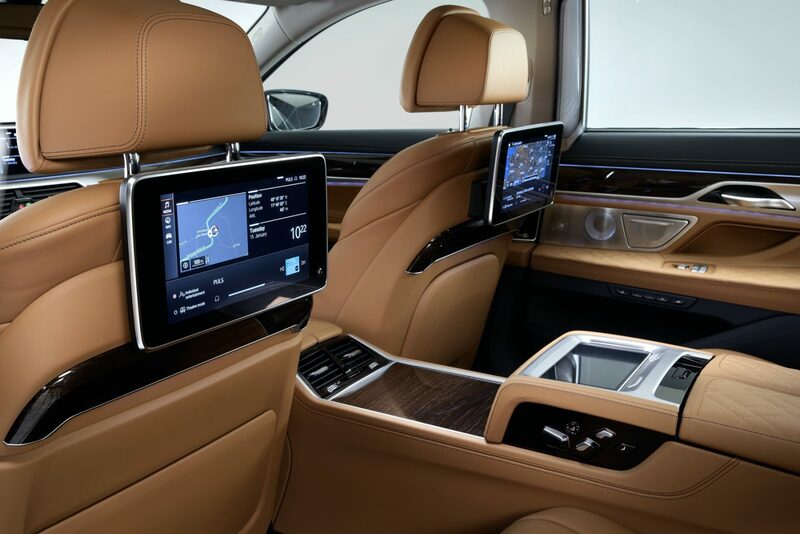 There’s also plenty of new and updated technology including a new version of the infotainment front and back based on the latest version of iDrive. 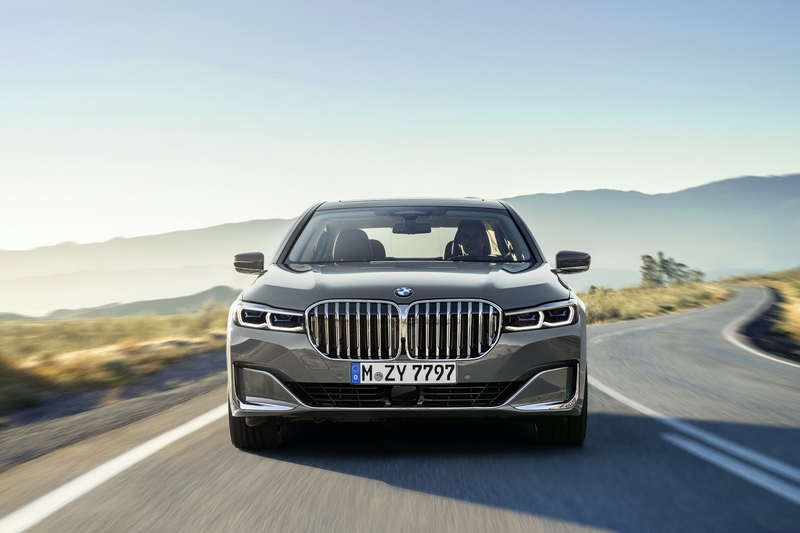 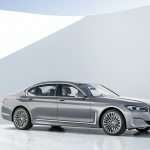 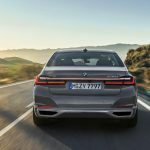 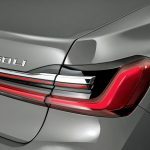 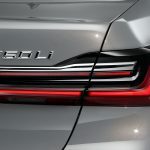 The US market launch is scheduled for April 2019 and all three models (six and eight cylinder engines along with the plug-in hybrid) will be available for ordering. 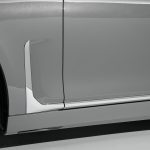 Look for pricing to be announced in February. 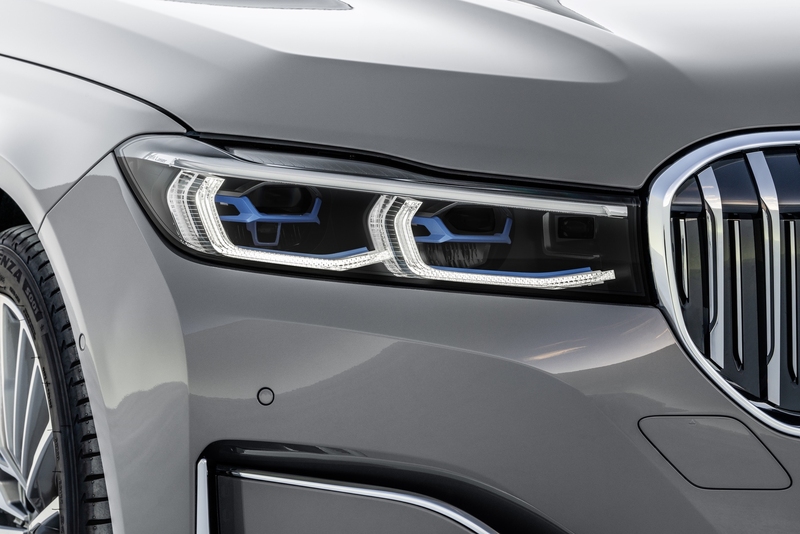 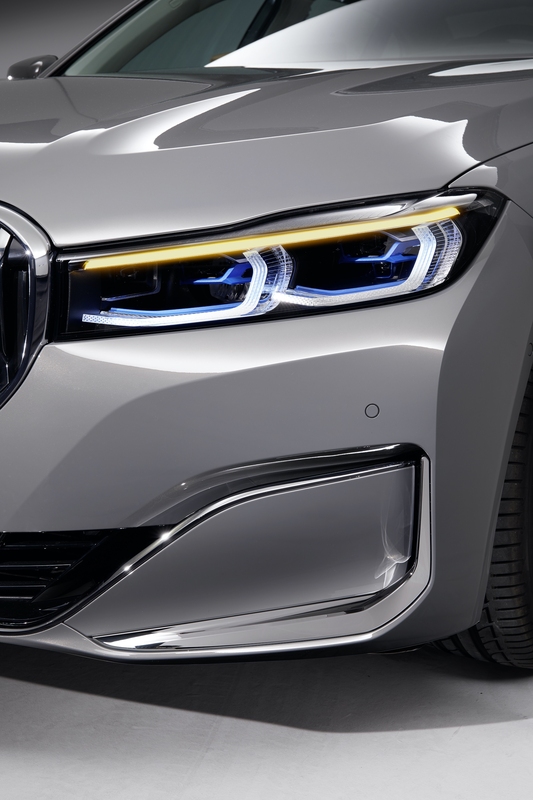 every area of the body, including the front bumper, hood, headlights, front fenders, rear bumper trim and rear lights to accentuate the elegance of the BMW 7 Series. 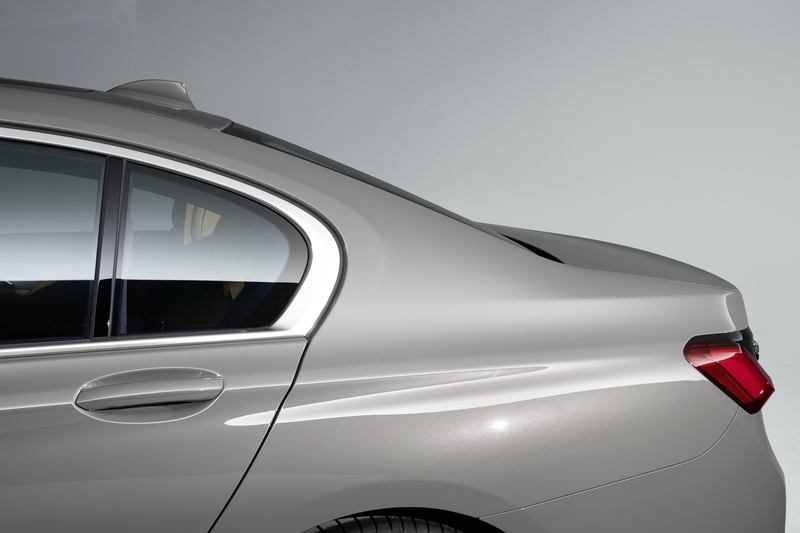 Exterior mirrors, attached to the window surround trim by a thin stalk, strike a modern appearance and further improve aerodynamics. 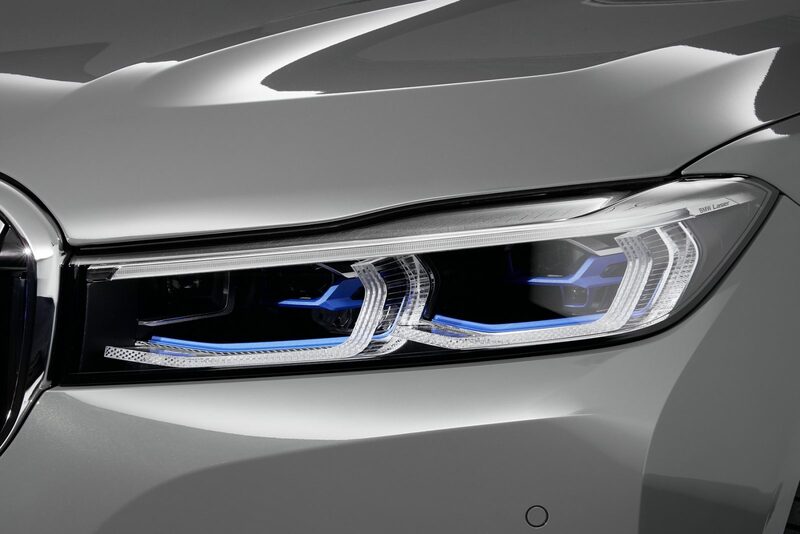 The front fenders have been redesigned to gracefully tie in the new headlight and front bumper. 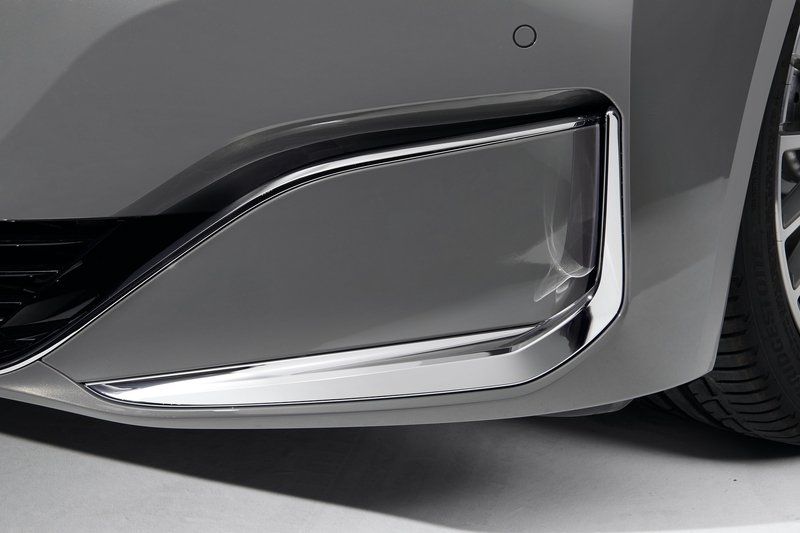 The Air Breathers, visible behind the front wheel openings, now feature larger air outlets that extend much higher into the front fenders to help optimize the flow of air through the wheel openings to help reduce aerodynamic turbulence. 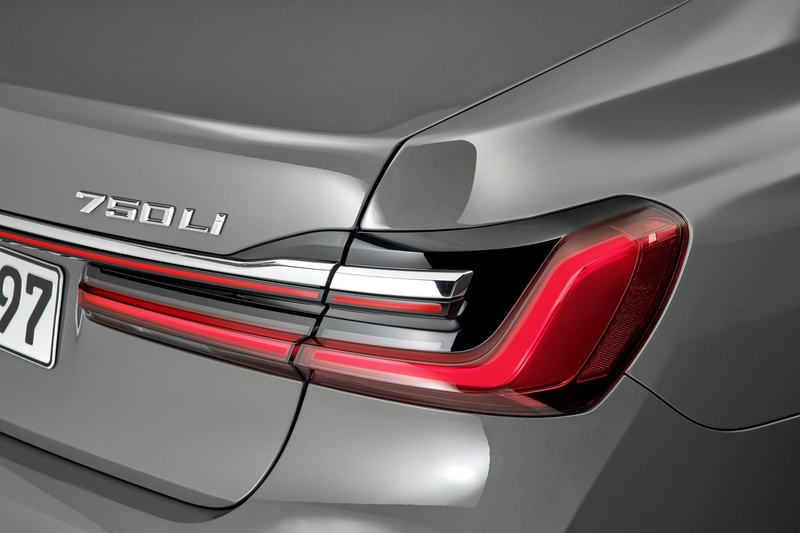 New rear-end design with full-width light strip. 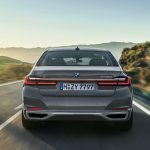 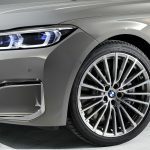 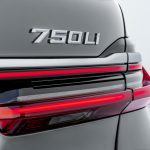 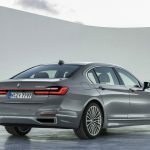 The new BMW 740i, 740i xDrive and 745e xDrive Sedans come equipped with standard 18- inch light-alloy wheels and all-season run-flat tires, while the 750i xDrive features standard 19 inch wheels with all-season run-flat tires and the M760i xDrive sedan comes equipped with standard 20 inch wheels and performance run-flat tires. 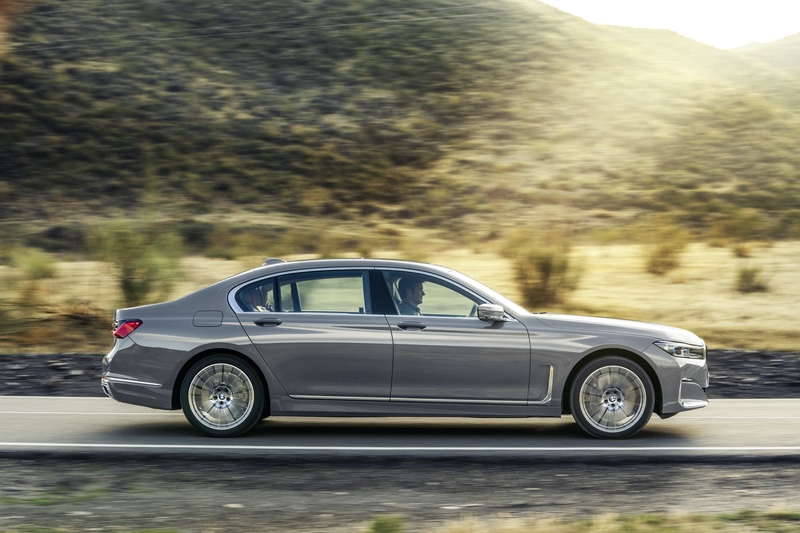 The 740i, 740i xDrive and 750i xDrive models additionally feature 19-inch wheel options with both all-season and performance run flat tires as well as 20-inch wheels with performance run flat tires. 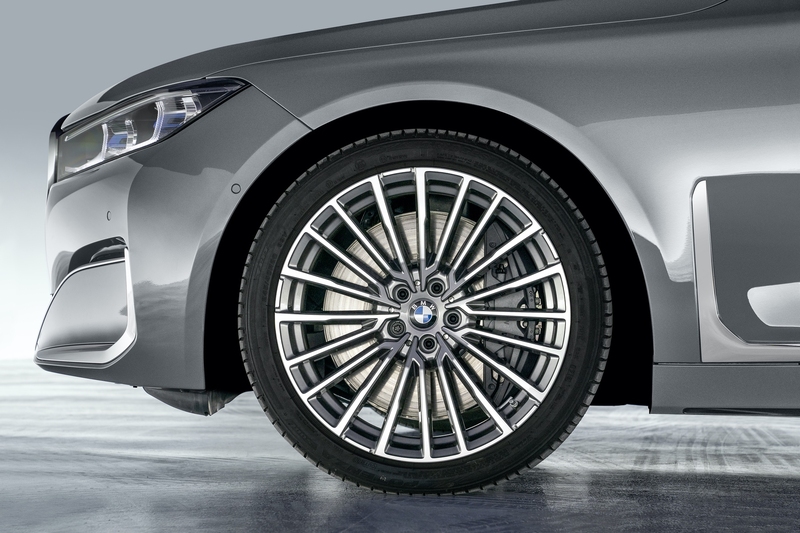 The new 745e xDrive sedan can be equipped with optional 19-inch wheels with either all-season or performance run-flat tires. 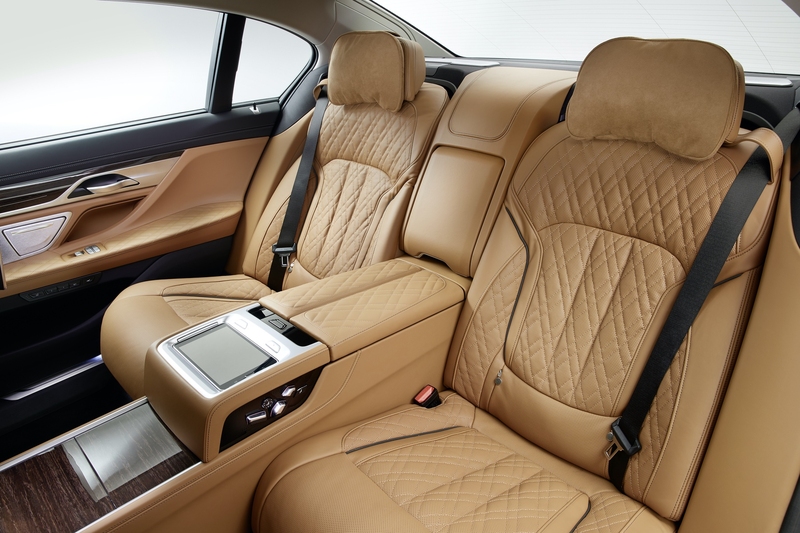 Exclusive Nappa leather and BMW Individual Merino full leather trim with extended quilting and new interior trim strips. 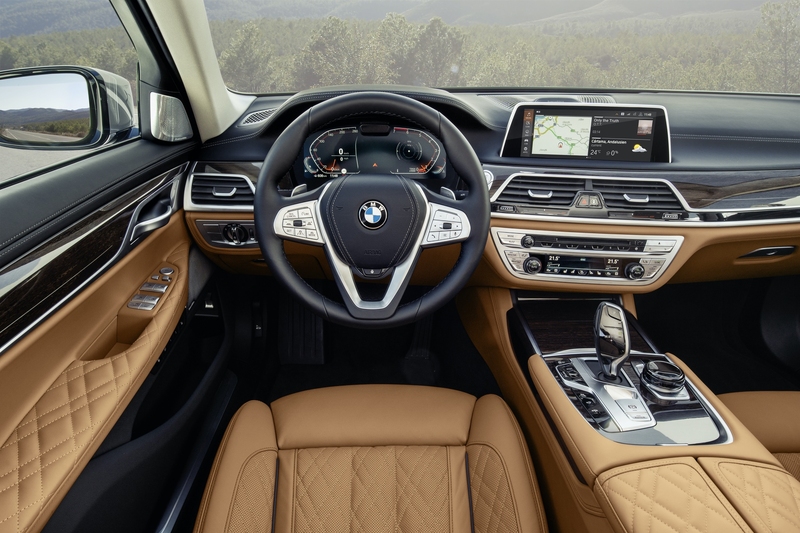 The new BMW 740i, 740i xDrive and 745e xDrive Sedans come standard with Dakota leather upholstery, available in five different colors. 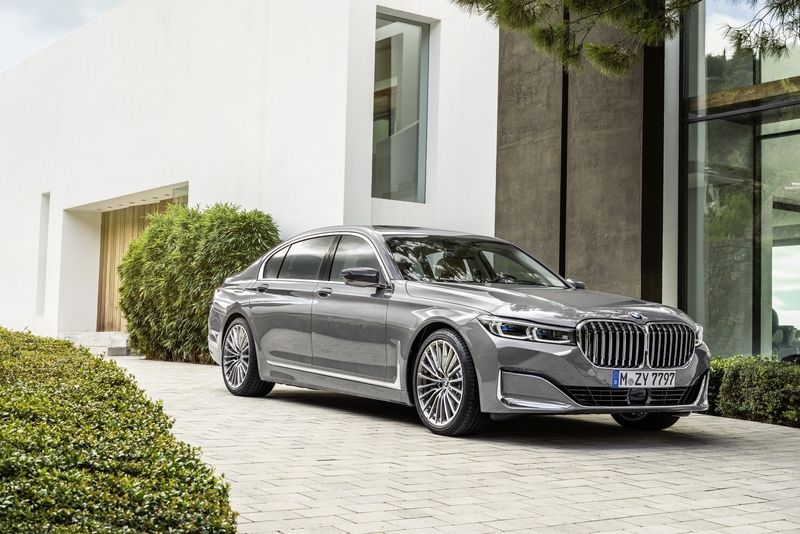 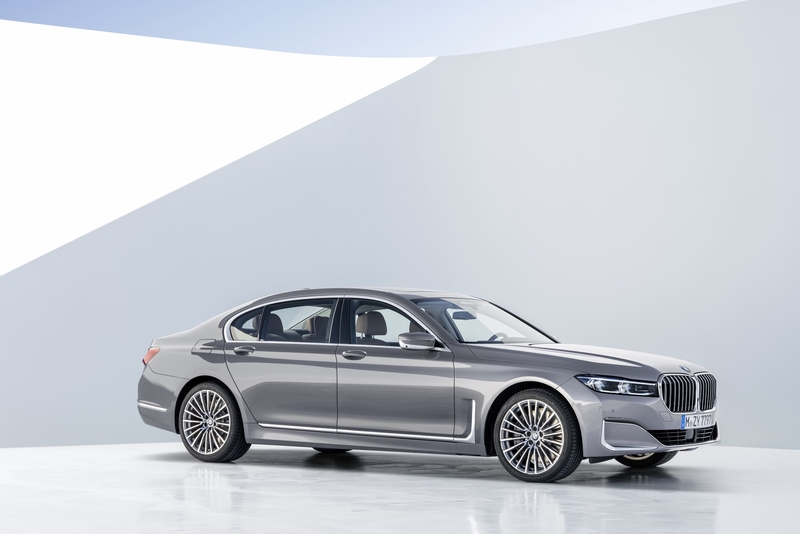 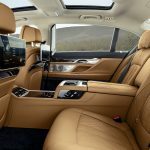 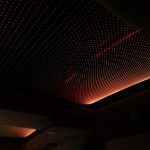 A choice of six color variants is offered for the optional Nappa leather upholstery with extended appointments (standard on the 750i xDrive and BMW M760i xDrive). 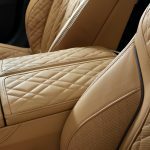 A new Nappa leather with extended quilting is now available in Mocha and Cognac color choices as part of the optional Luxury Seating Package. 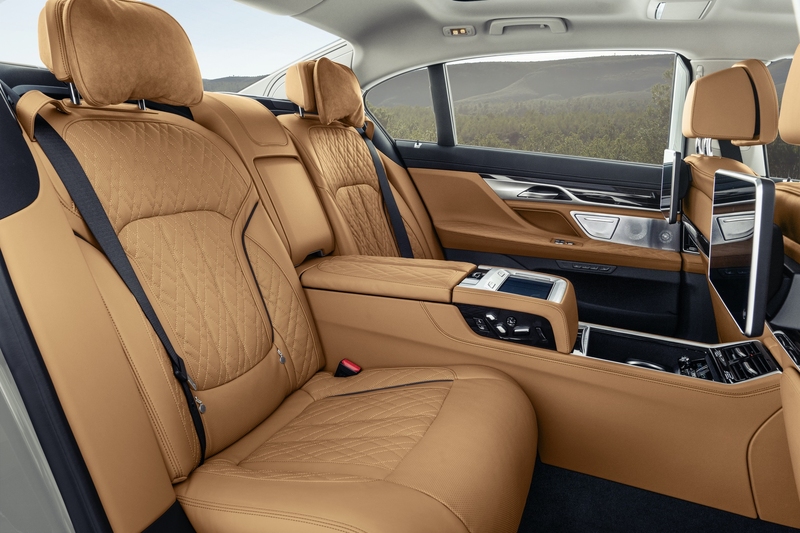 The extensive, three-dimensional surface quilting is found on the front and rear seat cushions and backrests, the armrests integrated in the door trim and the center console and gives the interior a further touch of luxury. 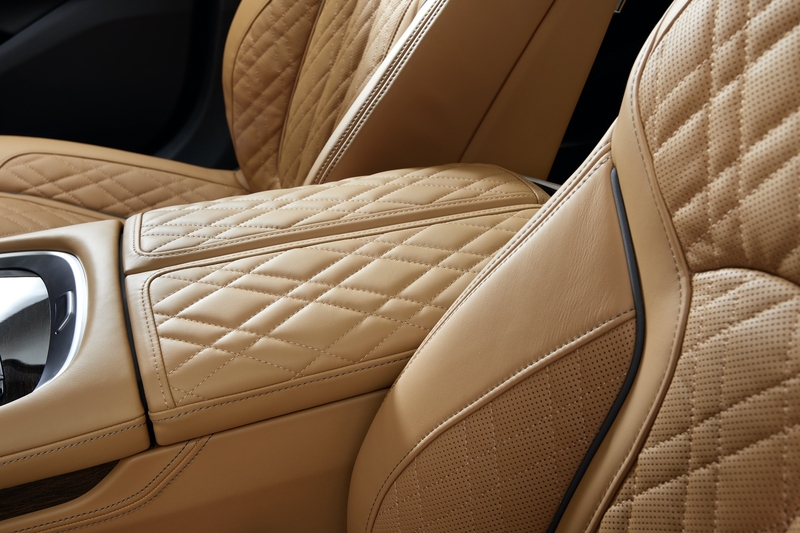 In models equipped with the Executive Lounge or Executive Lounge rear console options, the high-quality quilting is also to be found on the rear center armrest. 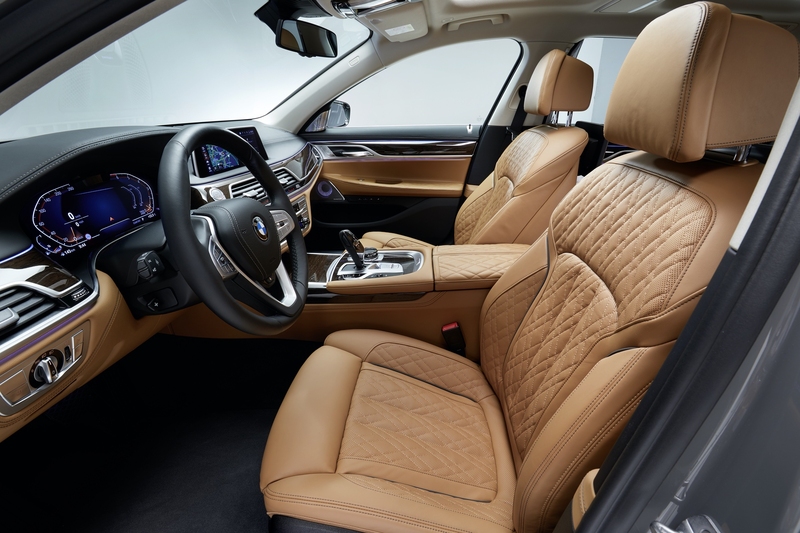 The optional BMW Individual fine-grain Merino full leather trim – is available in six colors and features not only extended quilting but also contrast stitching and piping. 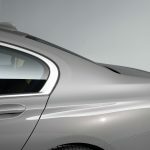 BMW Efficient Lightweight and optimized aerodynamics. 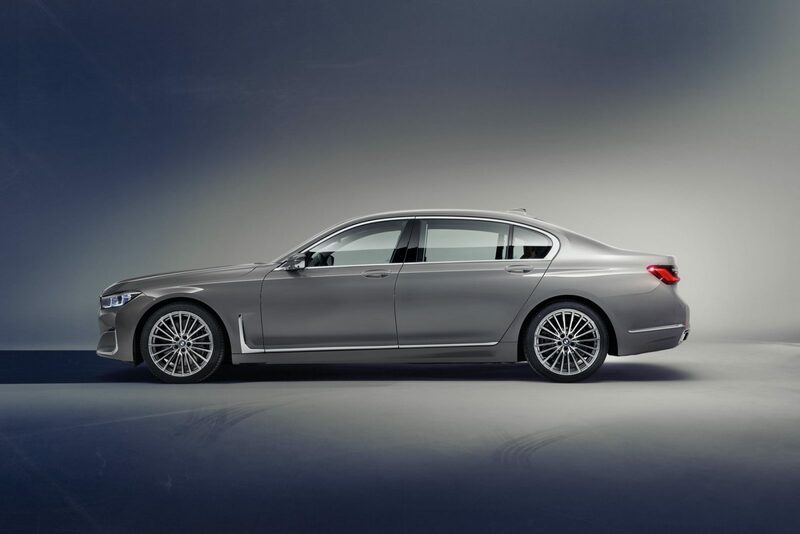 The body structure developed for the BMW 7 Series combines maximized occupant protection with optimized weight. 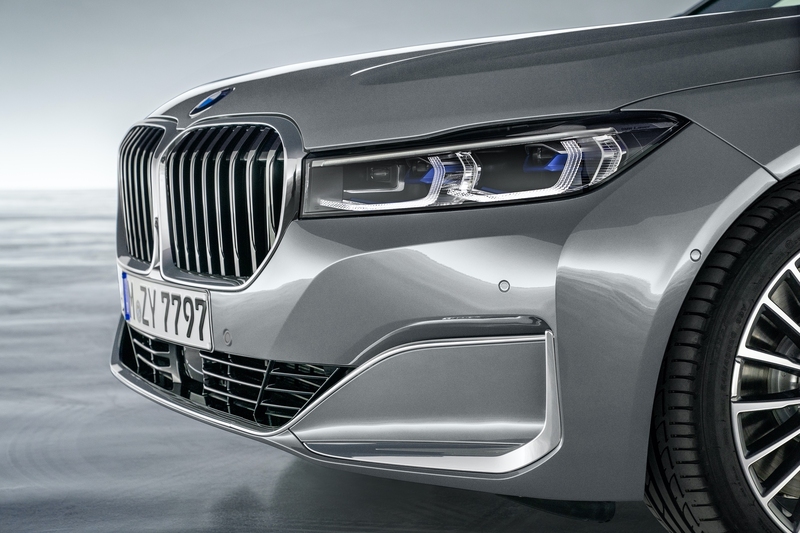 This is made possible by a material mix of high-strength steels, aluminum and carbon fiber-reinforced plastic (CFRP) that is unrivalled by any of its competitors. 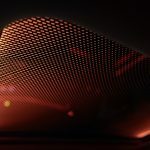 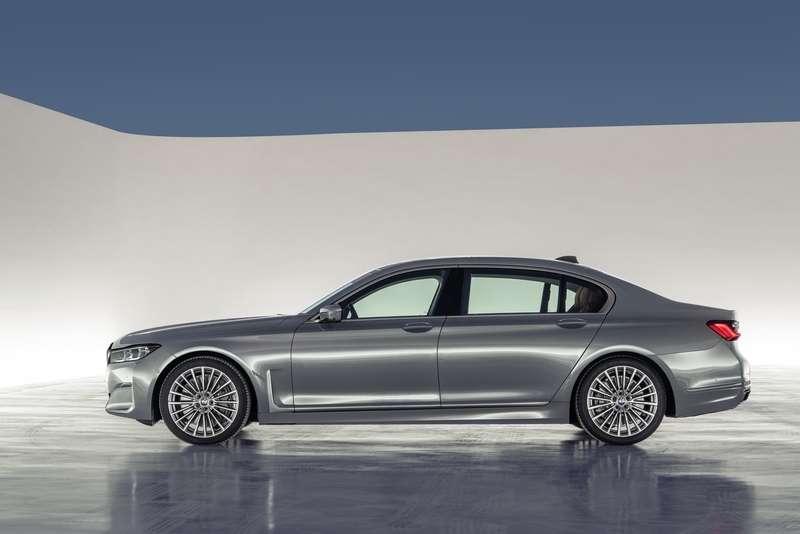 The Carbon Core used for the passenger cell makes a major contribution not only to the high level of safety, but also to the agile handling characteristics of the BMW 7 Series. 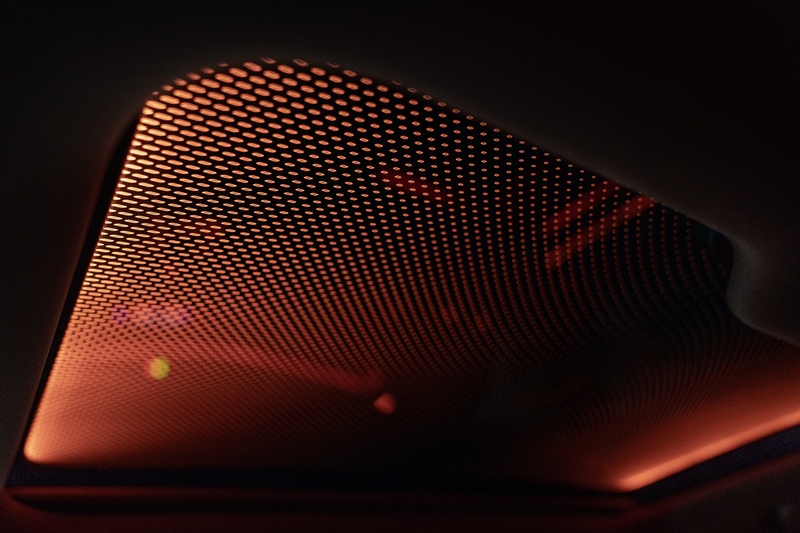 A significant role in the optimization of the vehicle’s aerodynamic characteristics is played by the active air flap control system along with Air Curtains and Air Breathers. 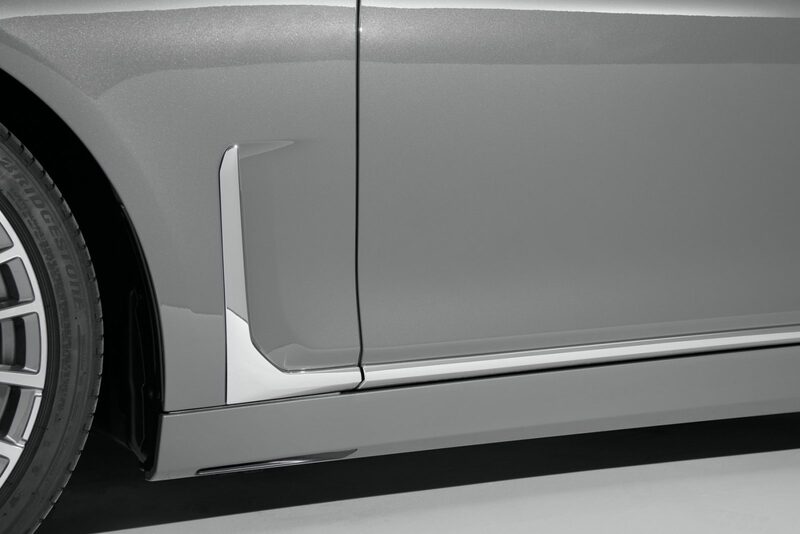 Air drag is also reduced by the cladding covering almost the entire underbody. 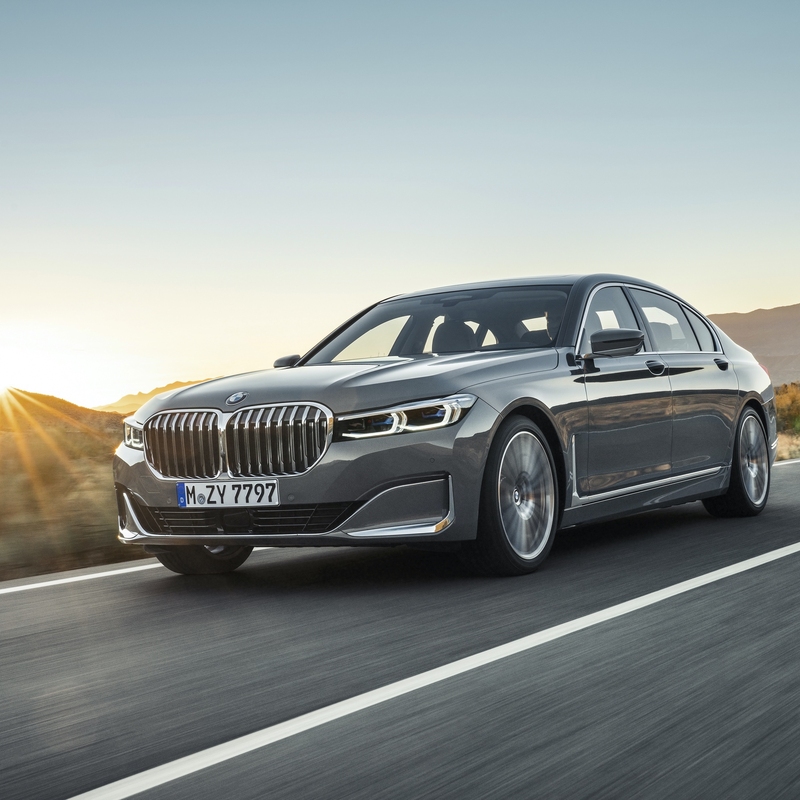 Spearheading the line-up of engines for the new BMW 7 Series is the twelve-cylinder motor that sets the benchmark for power delivery in the luxury segment. 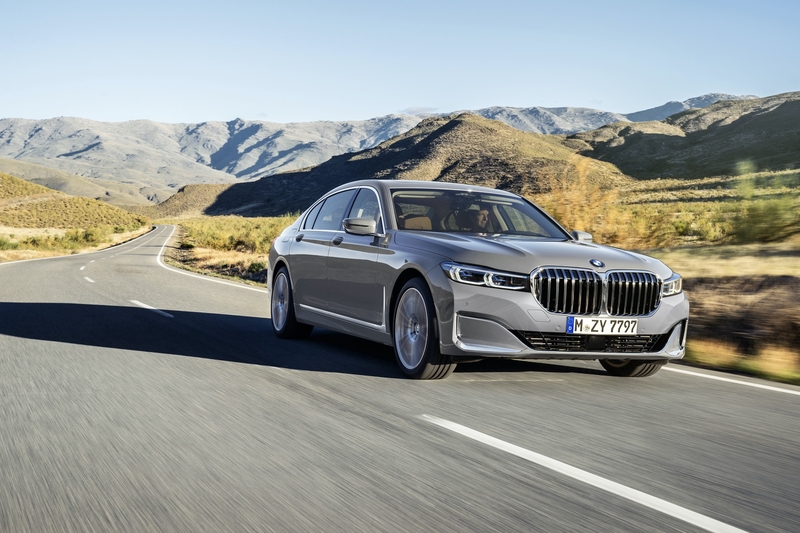 Traditionally the most prestigious engine variant, the V12 serves up a blend of unrivalled smoothness and tremendous performance. 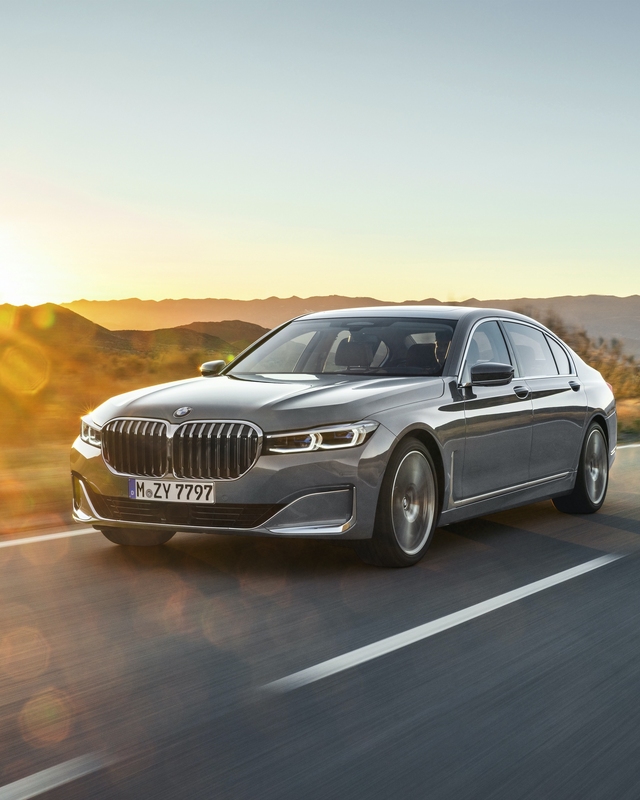 The engine powering the new BMW M760i xDrive has a displacement of 6.6 liters from which it extracts 600 hp between 5,500 and 6,500 rpm. The peak torque of 627 lb-ft is on tap over a wide rev range from 1,550 to 5,000 rpm. 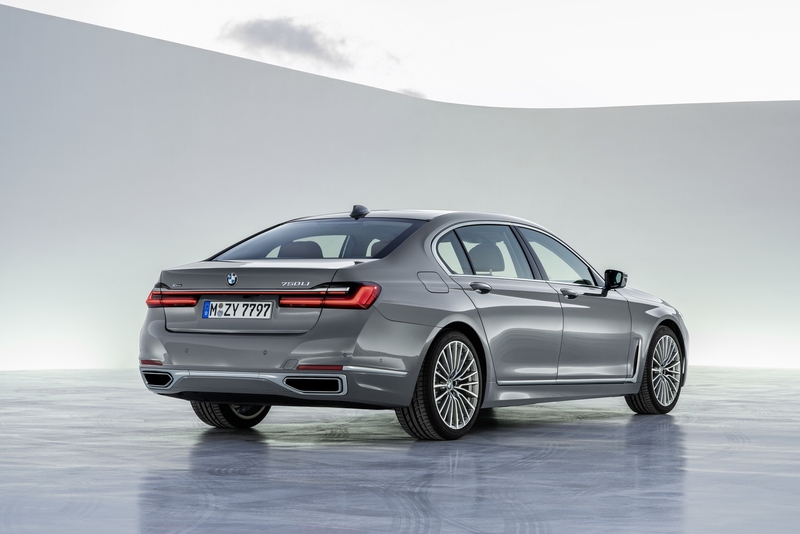 The high- performance engine propels the remarkably sporty luxury sedan from 0 to 60 mph in just 3.6 seconds. 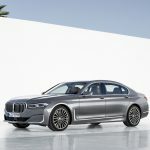 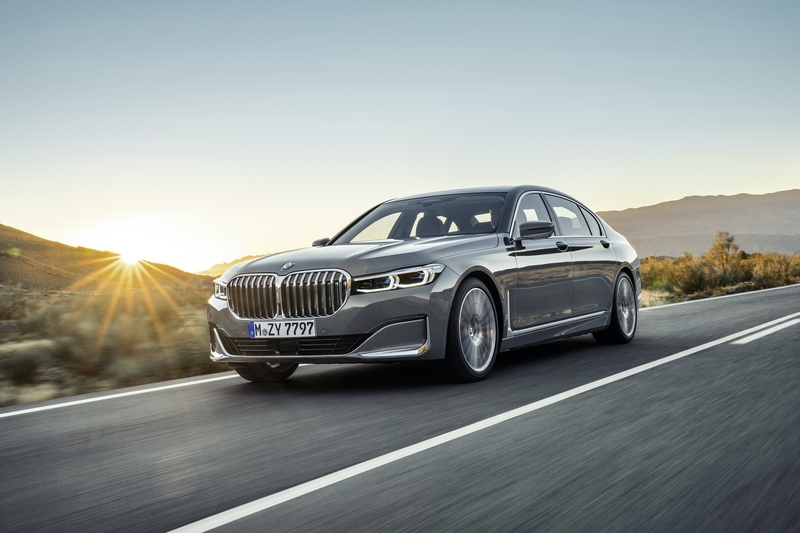 The top speed of the new BMW M760i xDrive is electronically limited to 155 mph. 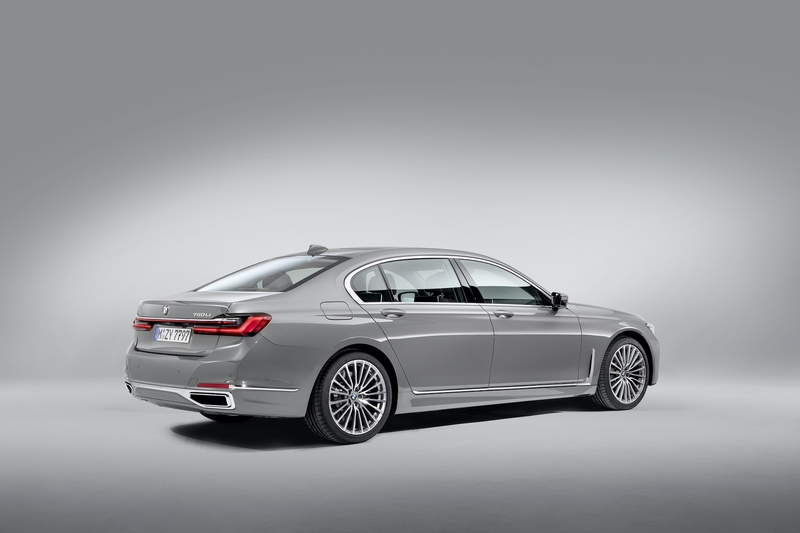 Extreme rigidity, weight optimization and effective reduction of vibrations are the defining qualities of the V12’s basic design. 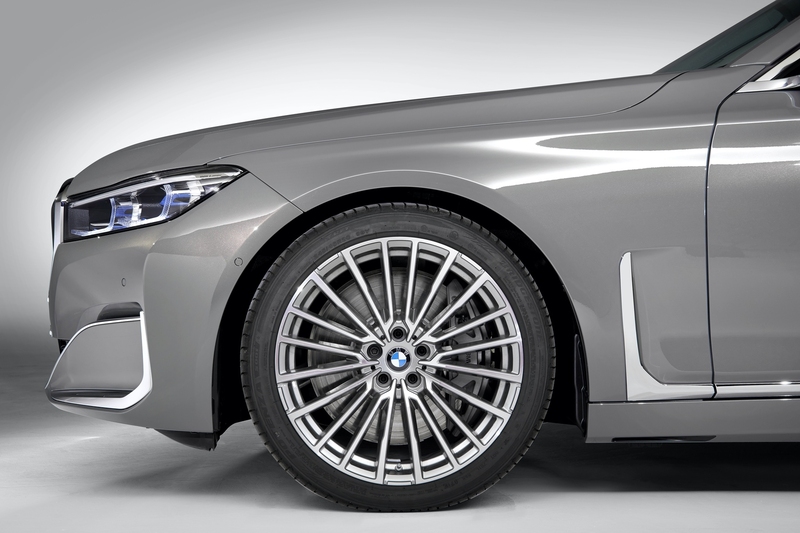 The all-aluminum engine’s two banks of cylinders are positioned at an angle of 60 degrees. 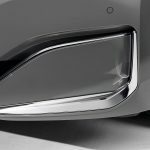 On the outside of each bank is a single, mono-scroll turbocharger with indirect charge air cooling and a separate cooling circuit. 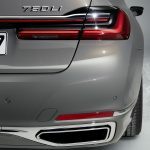 In order to reduce back pressure, the exhaust gases flow unimpeded through the twin-pipe exhaust system’s rear silencer whenever the exhaust flap is open. 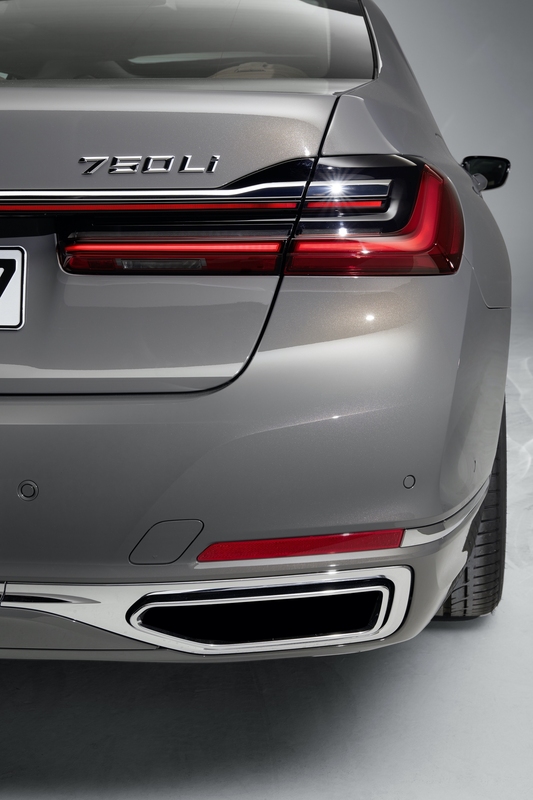 The rear silencer combines with exhaust flap control to give the engine a broad acoustic spectrum, ranging from creamy smooth to dramatically sporty. 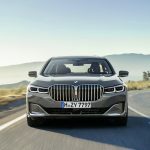 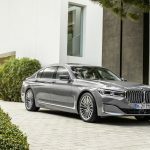 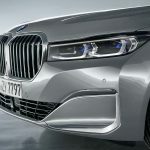 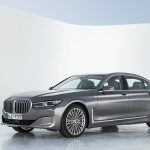 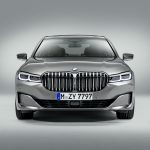 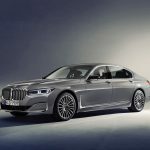 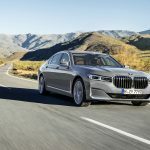 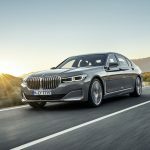 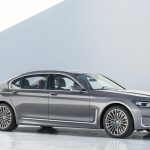 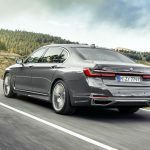 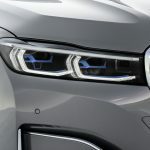 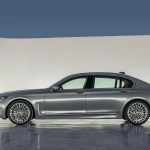 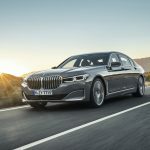 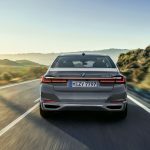 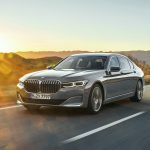 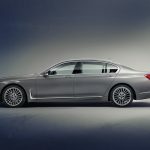 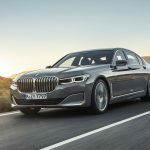 One of the biggest changes in the engine range for the new BMW 7 Series is the eight- cylinder unit fitted in the BMW 750i xDrive Sedan. After undergoing an extensive overhaul covering everything from the crankcase through to the engine management, the 4.4-litre V8 generates a maximum output of 523 hp – 80 hp more than the engine it replaces – between 5,500 and 6,000 rpm. 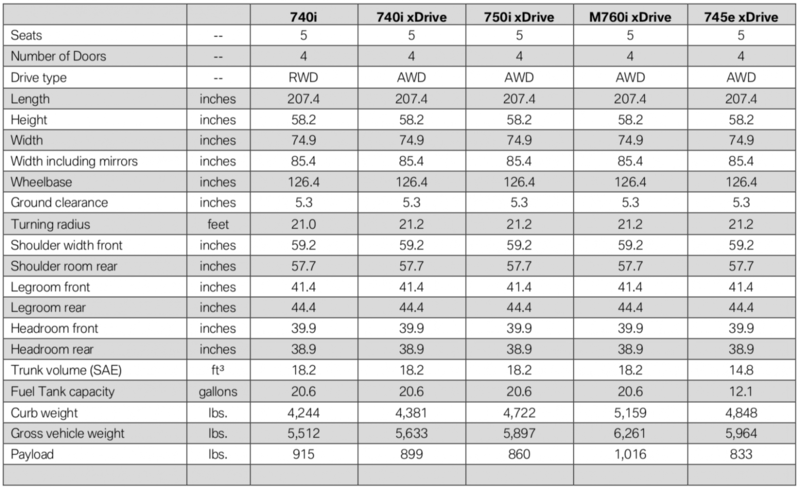 The 553 lb-ft of peak torque represents an increase of 74 lb-ft and is available from 1,800 – 4,600 rpm. 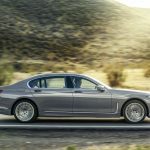 The engine’s standout features include the pair of twin-scroll turbochargers nestled in the 90-degree angle between the two banks of cylinders. 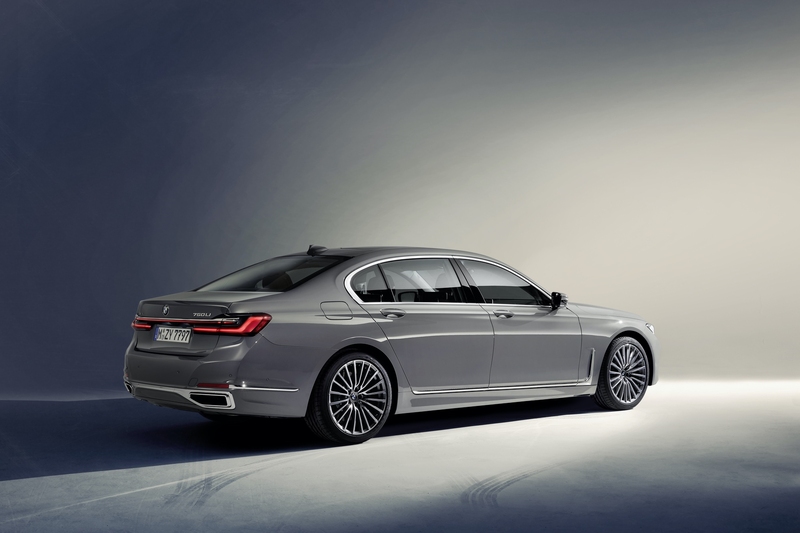 The V8 unit lays on some expressive acoustic accompaniment for its instantaneous and ceaseless power build-up. 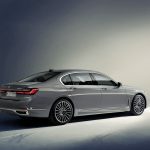 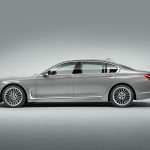 The new BMW 750i xDrive sprints from 0 to 60 mph in 3.9 seconds. 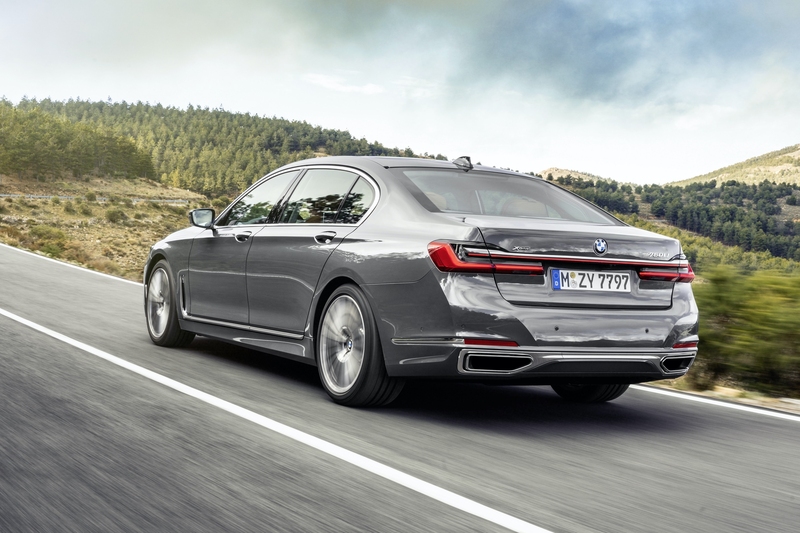 The power unit fitted in the new BMW 740i and 740i xDrive boasts the free-revving ability inherent in all six-cylinder inline engines from BMW, plus wonderfully eager response. 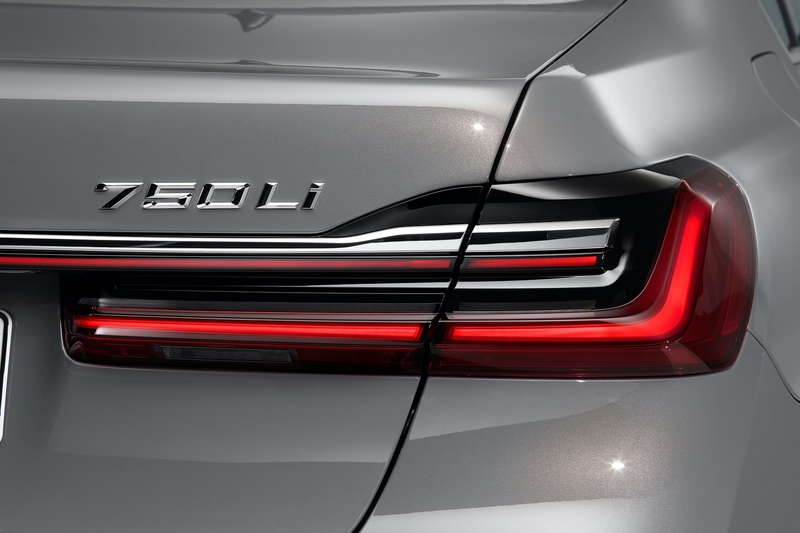 The 3.0- liter unit employs a twin-scroll turbocharger and direct petrol injection technology whose maximum pressure of 5,076 psi ensures the fuel is delivered in extremely precise doses. 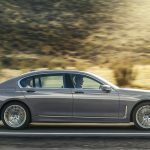 The straight-six generates its maximum output of 335 hp between 5,500 and 6,500 rpm, while the peak torque 330 lb-ft is waiting to be unleashed from 1,500 – 5,200 rpm. 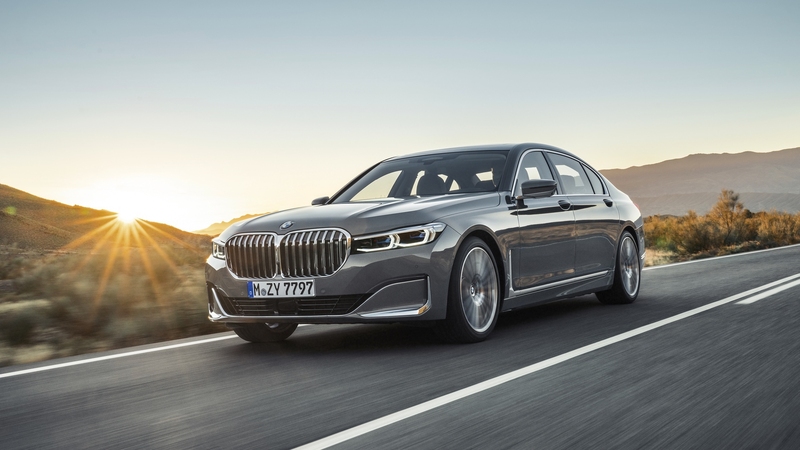 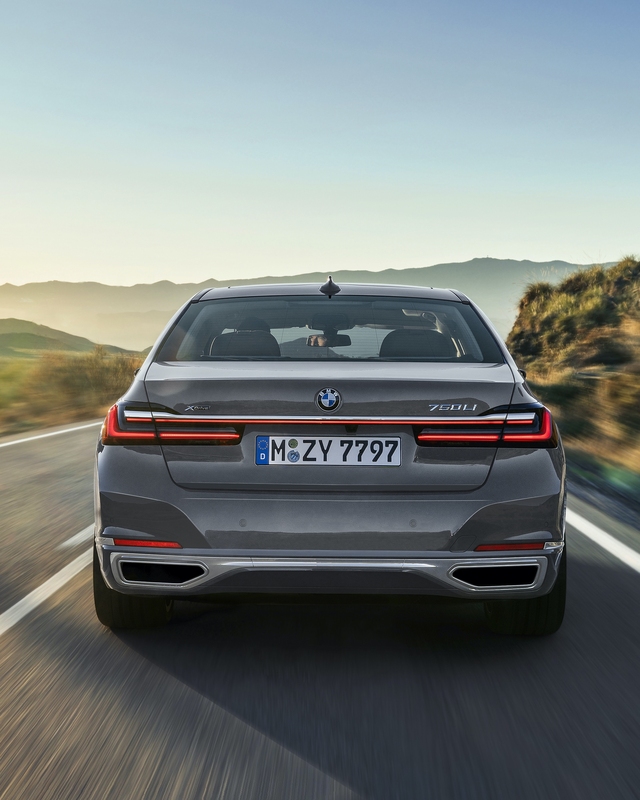 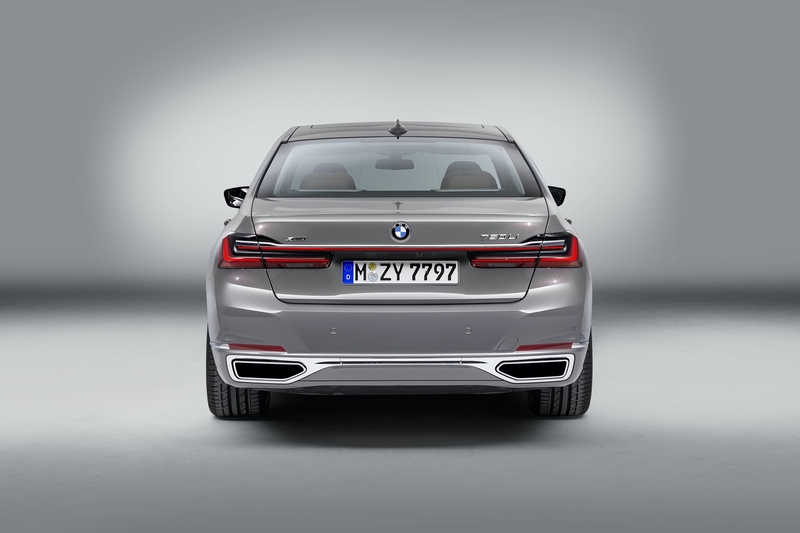 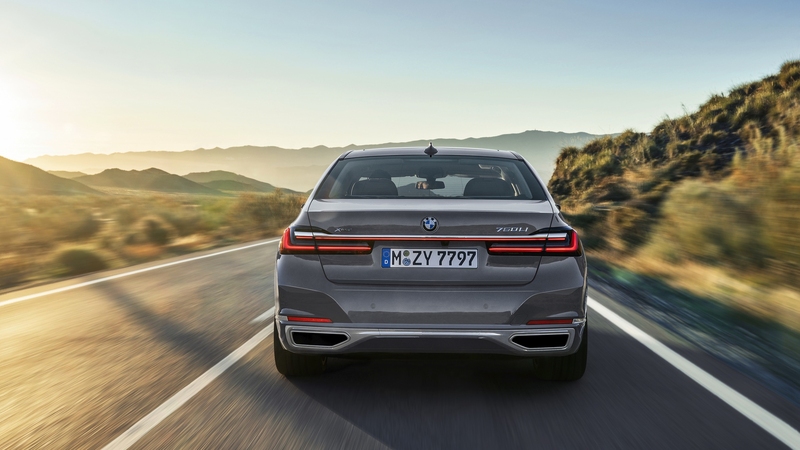 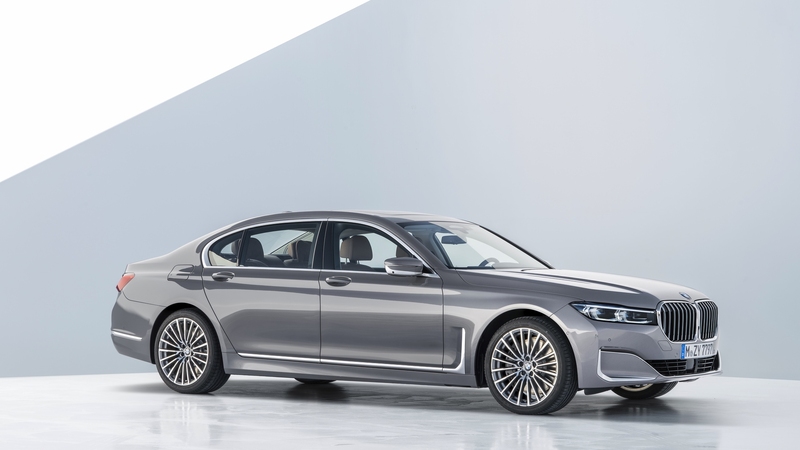 The new BMW 740i completes the 0 to 60 mph sprint in just 5.3 seconds while the BMW 740i Xdrive’s extra traction allows it to accelerate to 60 mph in 4.8 seconds. 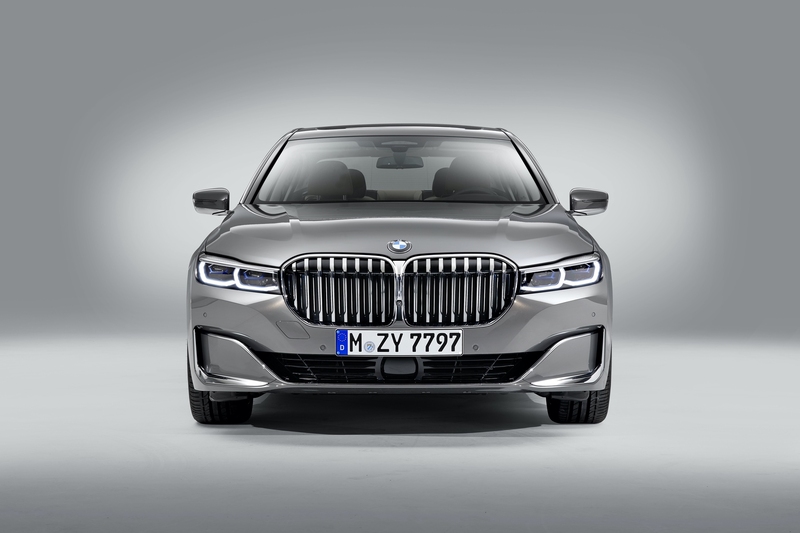 The BMW 745e xDrive is equipped with a hybrid-specific variant of the eight-speed Sport Steptronic transmission incorporating both the electric motor and an improved separating clutch that acts as the link to the engine. 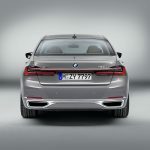 It’s extremely compact design means it is only around 0.6 inches longer than the transmissions in the non-hybrid models. The Launch Control function of the standard Sport Steptronic transmission aids by optimizing traction during acceleration when this feature is used. 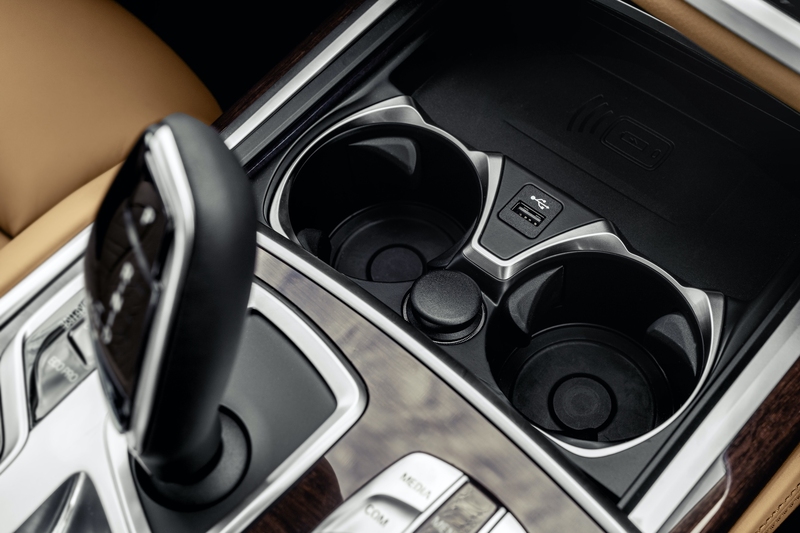 Intelligent networking enables the eight- speed Sport Steptronic transmission’s controller to work with the navigation information when selecting the best shift strategy. 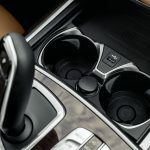 As a result, unnecessary gear shifts are reduced when driving through a succession of bends and optimum use can be made of the engine braking effect when approaching a junction. 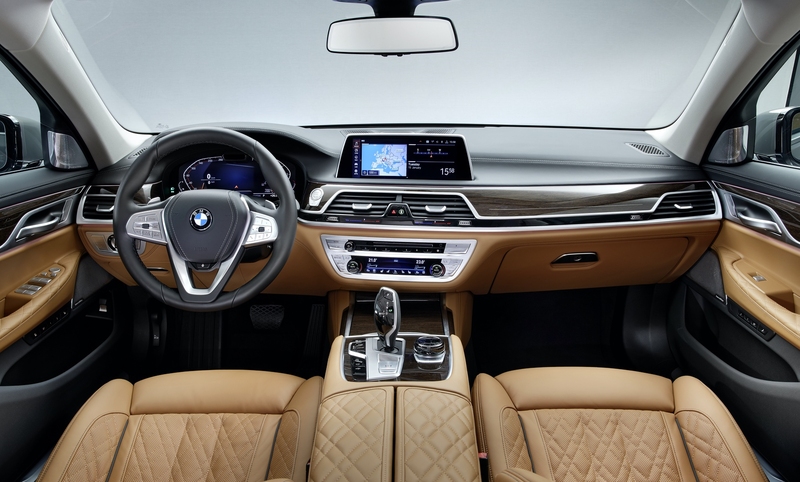 The drive system’s networking with both the navigation system and the cameras and radar sensors likewise serves to maximize the efficiency-enhancing effect of the Auto Start Stop and coasting functions. 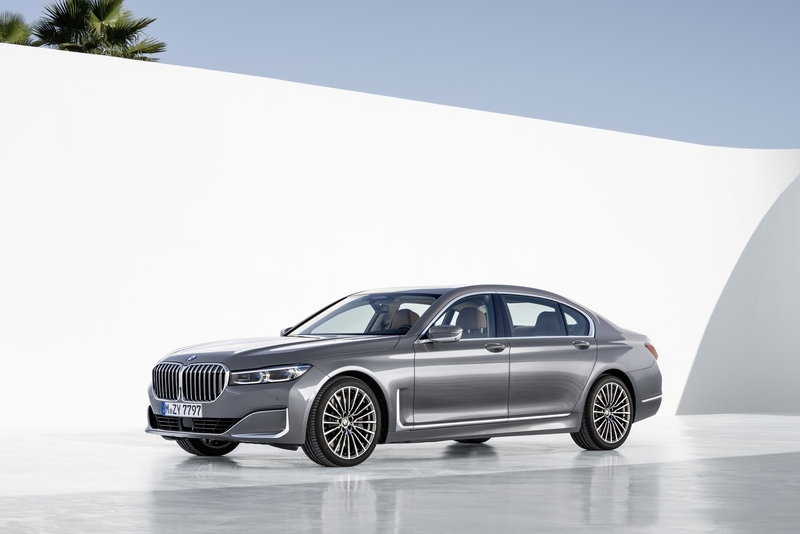 In this way, inefficient engine shutdown when stopping only briefly is prevented, while the coasting function – which is now also available with the Driving Experience Control switch set to COMFORT mode on all models apart from the BMW M760i xDrive – is only activated if the route topography and traffic situation mean it won’t compromise either comfort or performance. 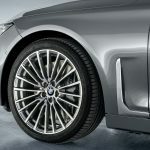 Fully variable, precise and efficient: BMW xDrive intelligent all-wheel drive. 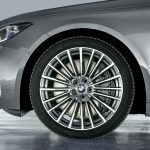 To increase the system’s efficiency, all of the drive torque is sent to the rear wheels in situations in which all-wheel drive is not needed. 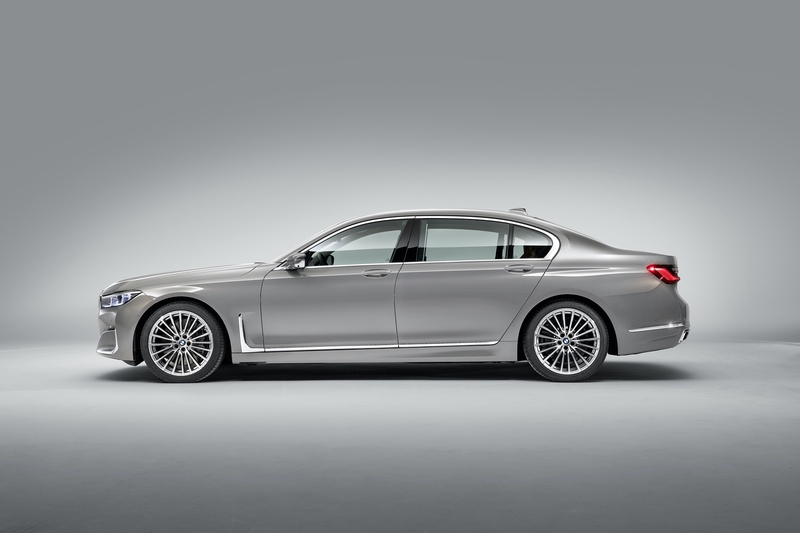 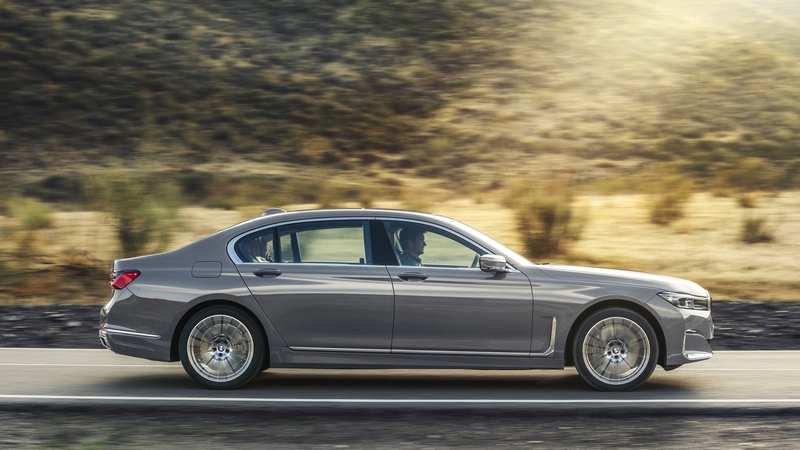 All-wheel drive comes standard all new BMW 7 series models except for the rear-wheel drive 740i. Chassis technology and driving experience. 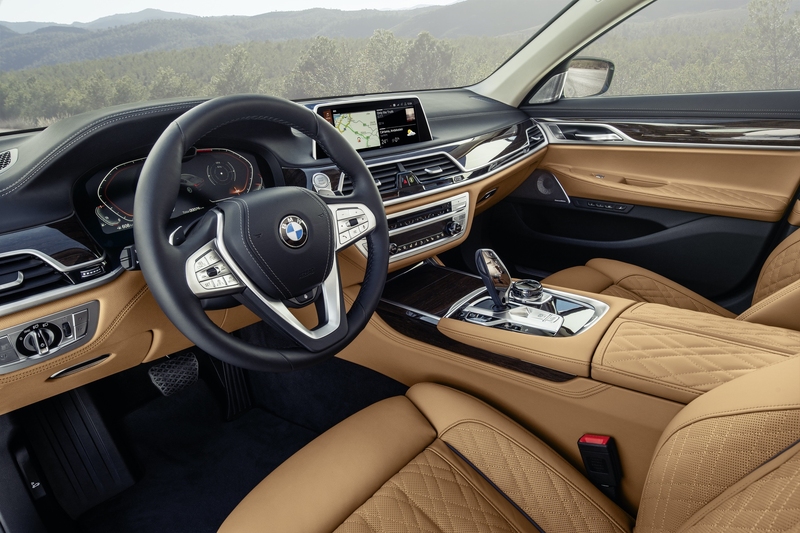 Unbeatable comfort and signature BMW dynamics on demand. 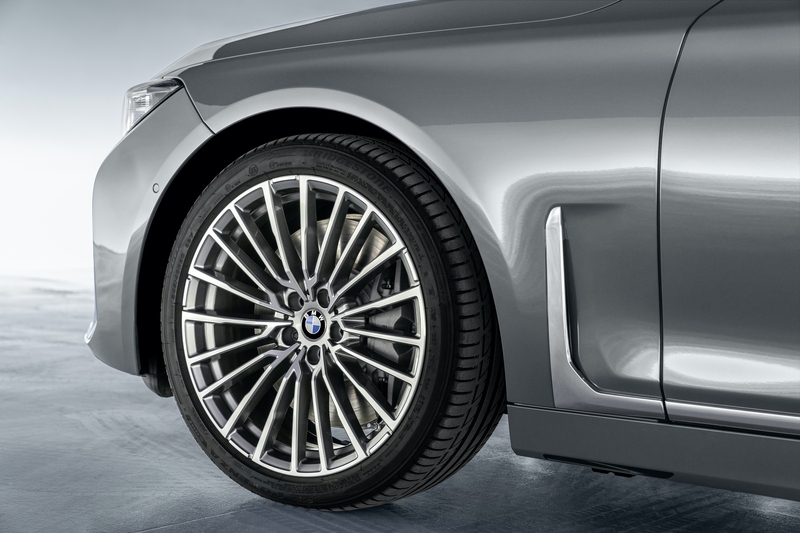 The optional Integral Active Steering demonstrates its strengths in a myriad of different driving situations. 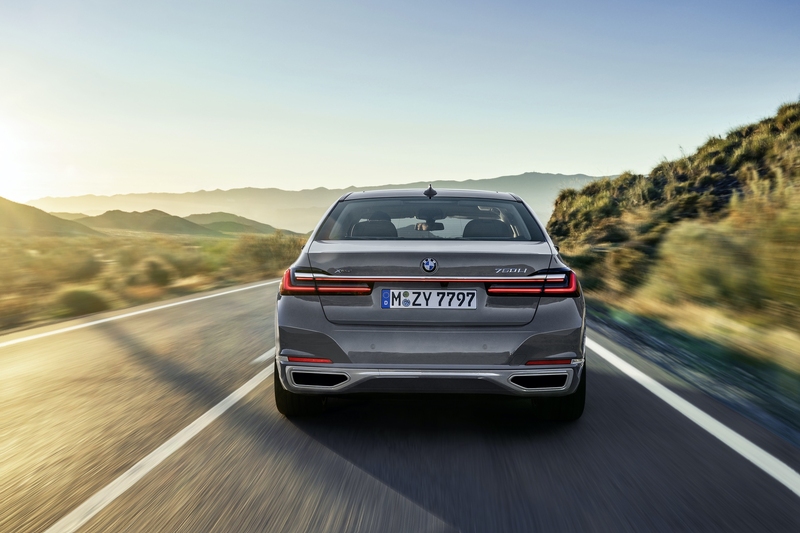 The system brings together the electromechanical steering of the front wheels – complete with Servotronic speed-sensitive steering assistance and variable steering ratio – with rear axle steering. 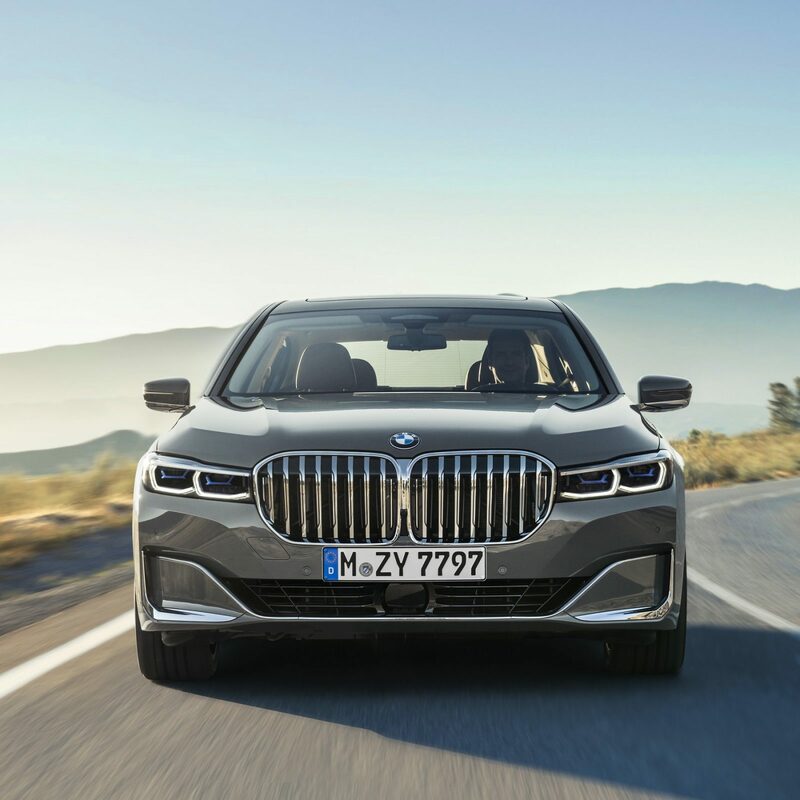 The variable steering ratio allows BMW 7 Series drivers to execute low- speed maneuvers with only small steering inputs and without having to change their grip on the steering wheel. 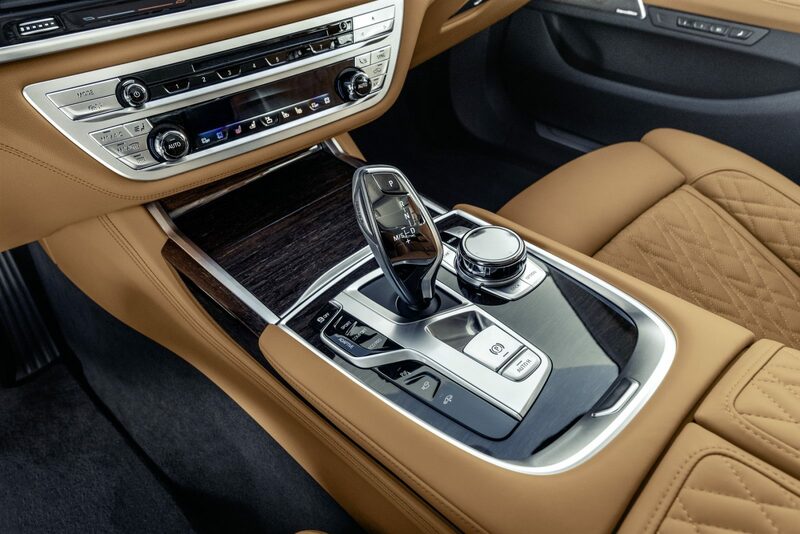 At higher speeds, the car’s responses to movements of the steering wheel are less pronounced, improving both directional stability when driving in a straight line and precision on the way into corners. 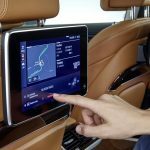 The BMW Intelligent Personal Assistant learns routines and habits, and is subsequently able to apply them in the appropriate context. 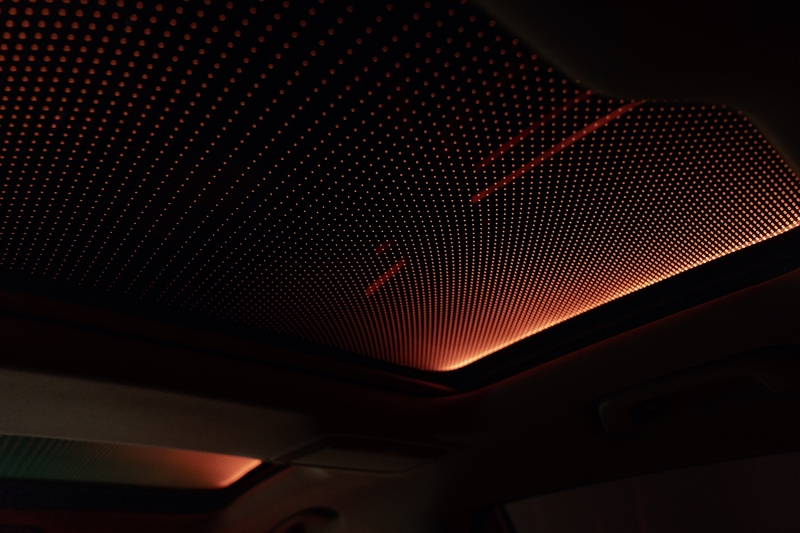 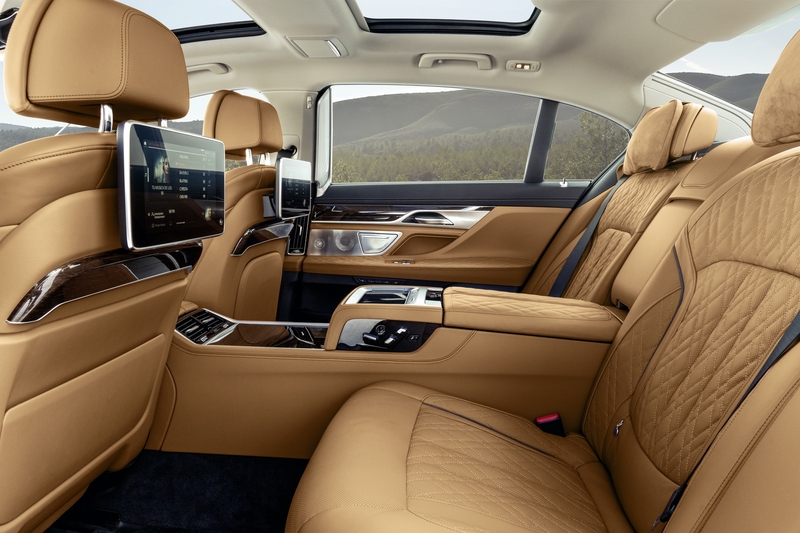 It helps the driver, learns their preferences and is familiar with the settings they like to have for the seat heating, for example, or the places they navigate to frequently (“Take me home”). 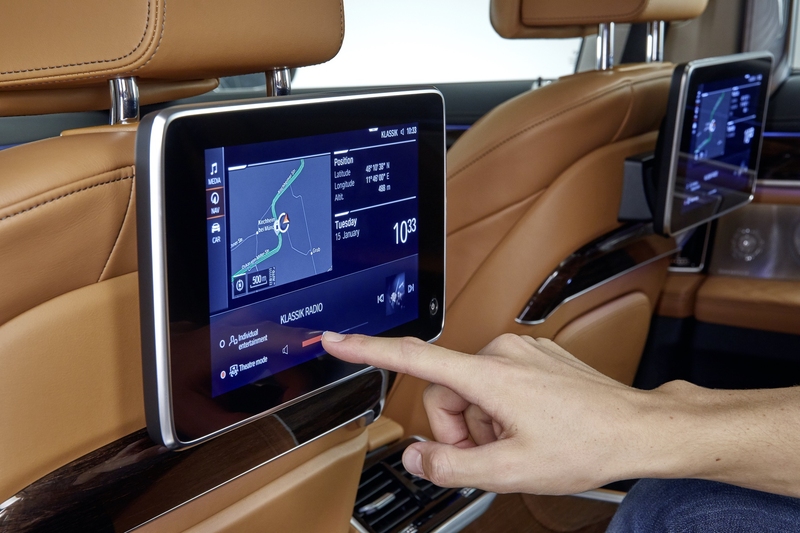 One unique feature compared with other digital assistants of this type is the option of naming it (such as “Charlie”) for even greater individuality and personality. 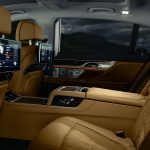 Not only does the assistant await the driver’s every command, it’s always there to assist and even provide casual conversation. 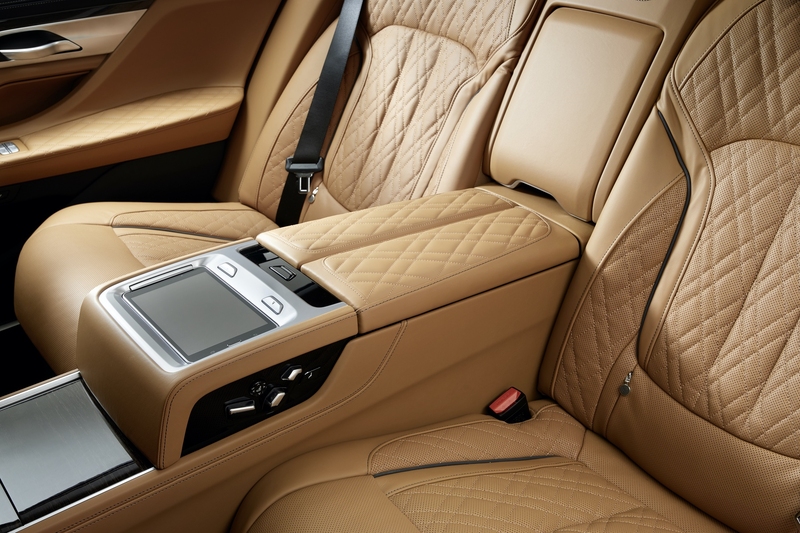 It is familiar with the vehicle’s functions and is able to operate them as required. 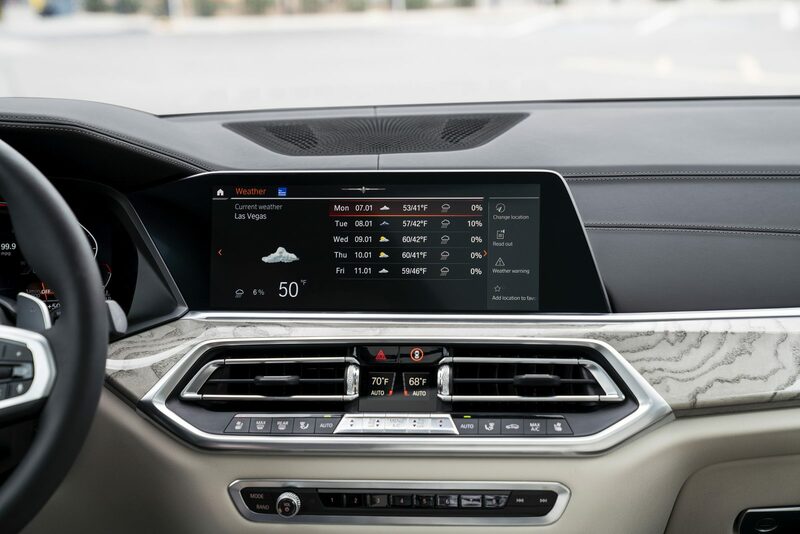 Saying “Hey BMW, I’m cold” will prompt the BMW Intelligent Personal Assistant to adjust the temperature inside the car accordingly. 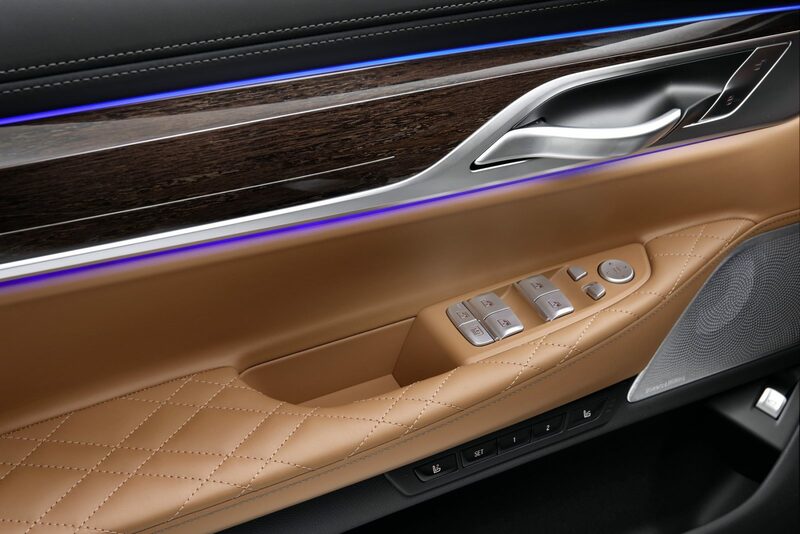 Ongoing improvement of the technology will enable it to learn more and more preferences and favorite settings in future. The assistant gets better and better with every command given, every question asked and every setting made. 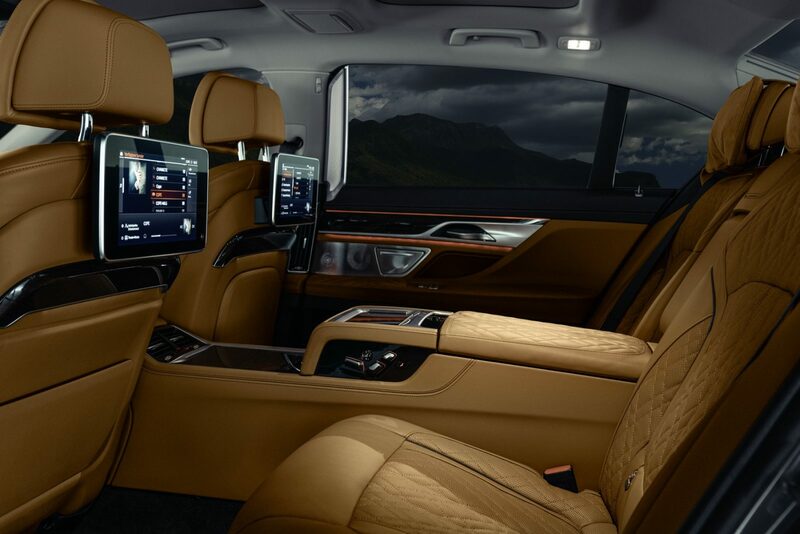 Always on board: the digital BMW expert. The new BMW 7 Series comes standard with an extensive list of equipment, from comfort to safety. 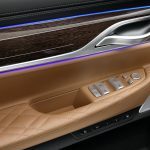 Standard features include Dynamic Damper Control and two-axle air suspension, soft- close automatic doors and comfort access keyless entry, panoramic sunroof, Harman –Kardon surround sound system, Wireless Charging, Gesture Control, Wi-Fi Hotspot, Apple CarPlay Compatibility with 1-year trial, Multi-contour seats, split-fold-down rear seats and Ambient lighting. 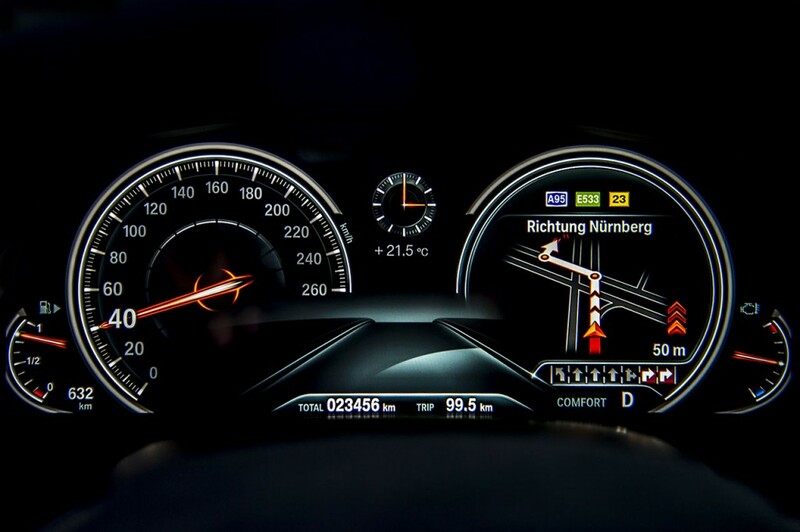 Standard assist systems include the Active Driving Assistant which includes Active Blindspot Detection, Frontal Collision Warning with City Collision Mitigation, Lane Departure Warning, Speed Limit Information, and Rear-Cross-traffic Alert and Collision preparation. 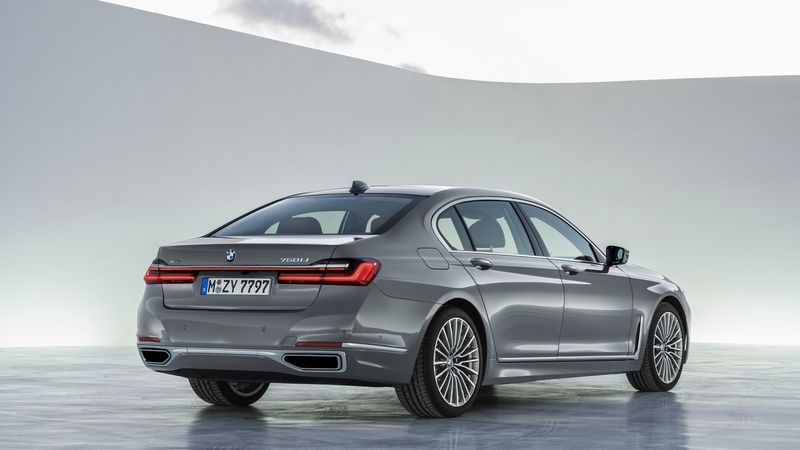 The standard Parking Assistant Plus, includes Active Park Distance Control, Surround View 3D Camera system and the Back-up Assistant. 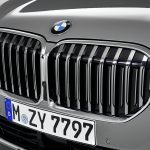 Cold Weather Package (for 740i, 740i xDrive, 750i xDrive and 745e xDrive) – includes Remote Engine Start, Front and Rear – Heated Seats and Heated Front Seat Armrests and Steering Wheel. 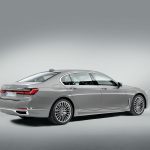 Driving Assistance Professional Package (for all models) – includes Extended Traffic Jam Assistant for limited access highways, Active Cruise Control with Stop & Go, Active Lane Keeping Assistant with side collision avoidance, Steering and – Traffic Jam Assistant, Automatic Lane Change, Evasion Assistant & Cross-traffic front alert. 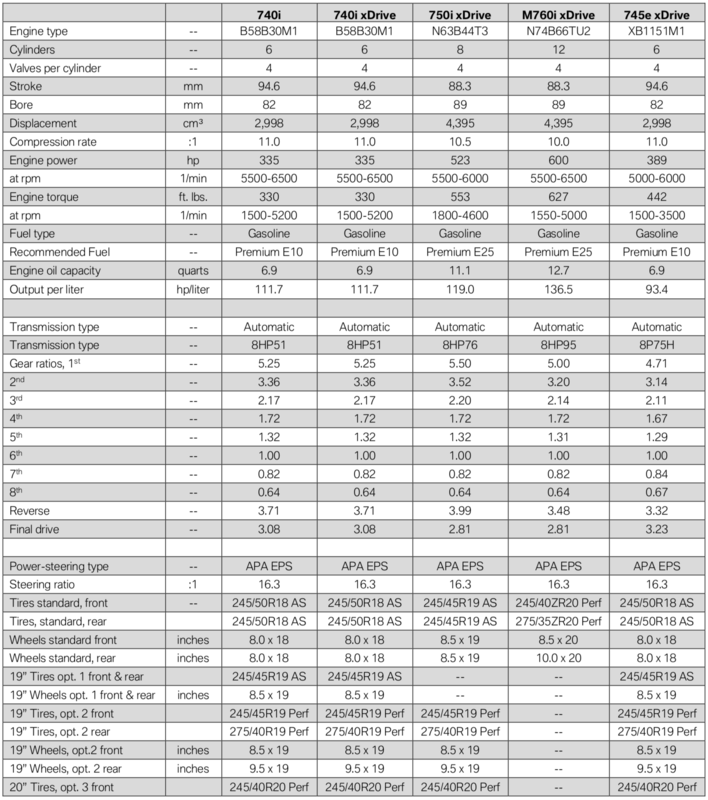 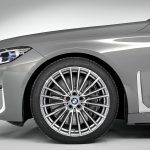 M Sport Package (for 740i, 740i xDrive, 750i xDrive and 745e xDrive) – includes M Sport exhaust(750i xDrive only), a choice of 19 inch or 20 inch wheels and tires, M Sport steering wheel, specific aerodynamics, Shadowline exterior trim, – Anthracite headliner, M door sills and foot rest and a choice of interior trim. 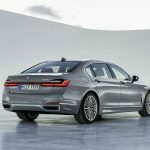 Premium Package (for 740i, 740i xDrive and 745e xDrive) – includes Power rear Sunshade and rear side window shades, Heads– Up display along with a choice of Nappa Leather interiors. 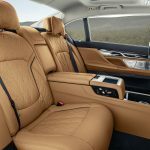 Rear Executive Lounge Seating Package (for 750i xDrive and M760i xDrive) – includes Electric Reclining individual rear Seats and Footrest (on passenger side), Executive Lounge Rear Center Console, rear Entertainment Professional.